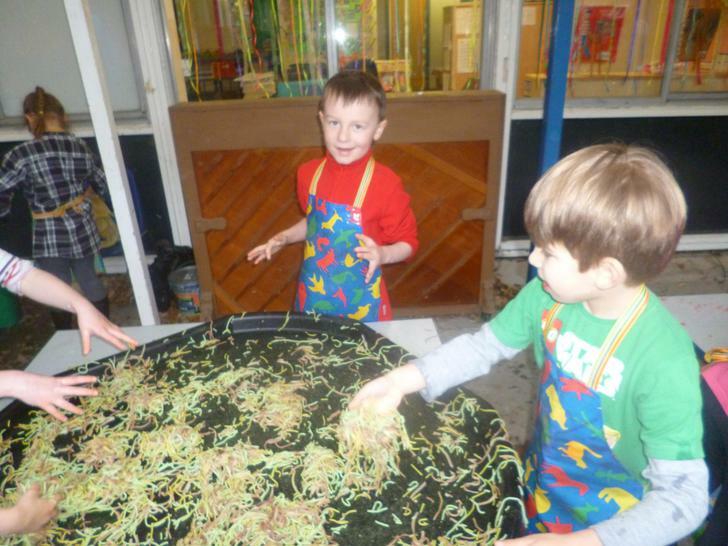 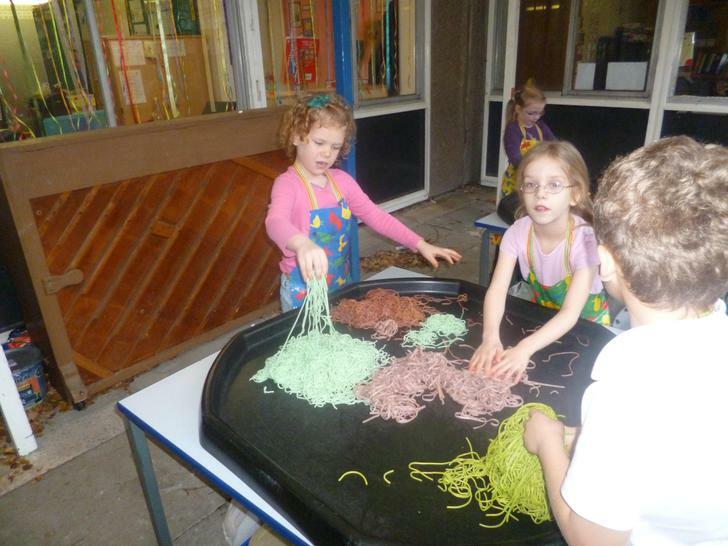 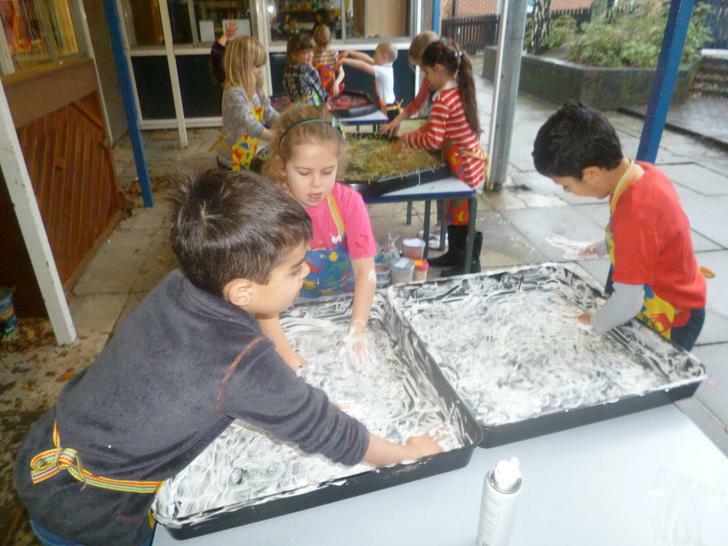 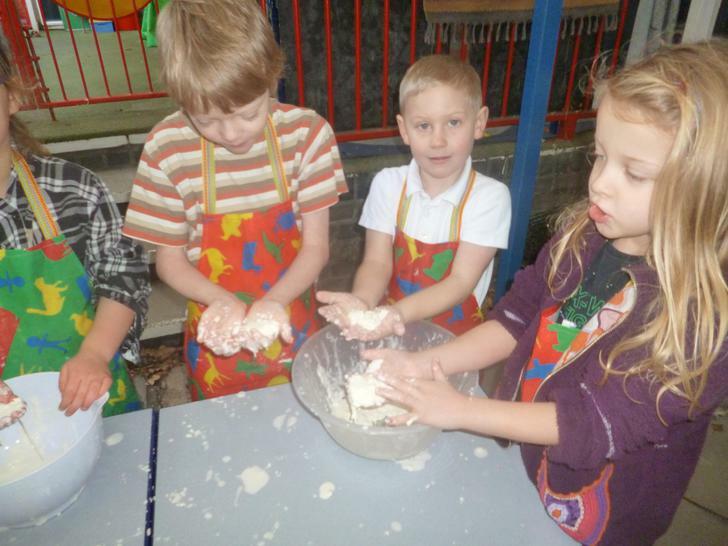 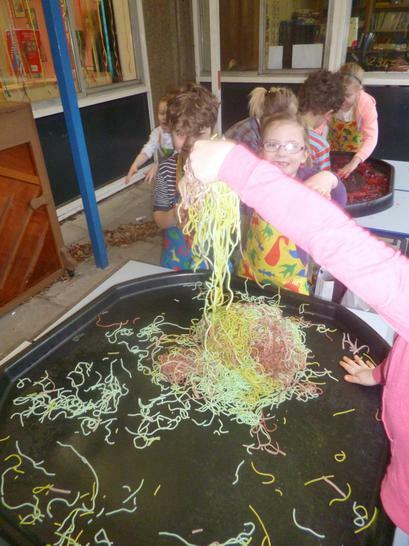 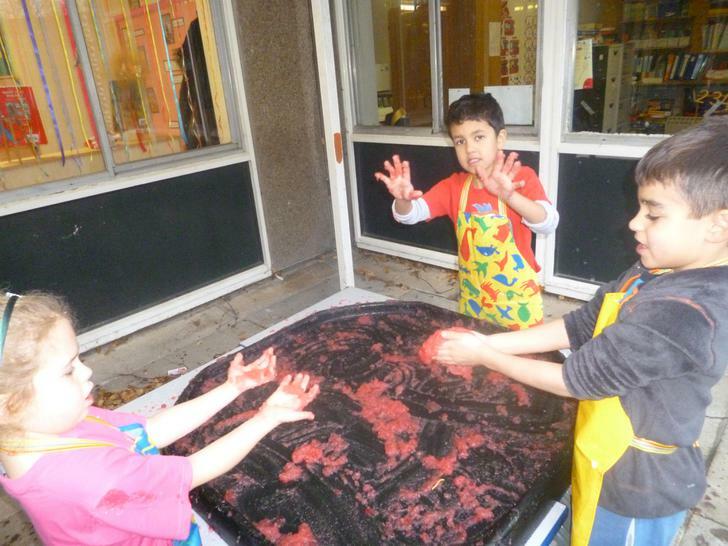 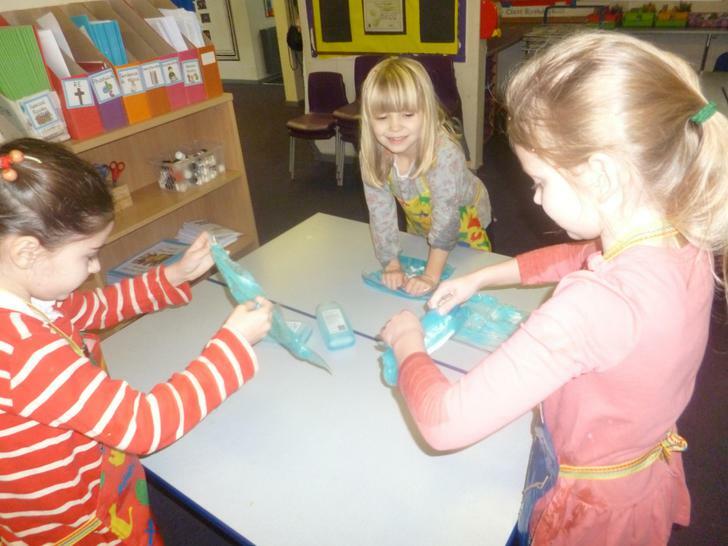 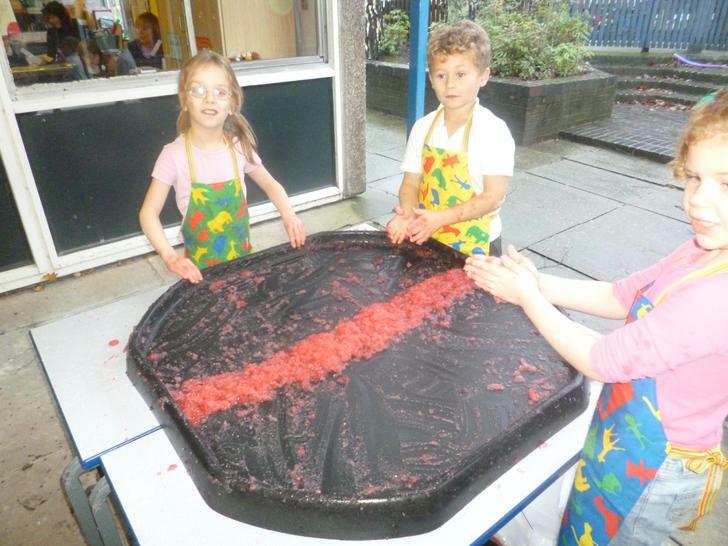 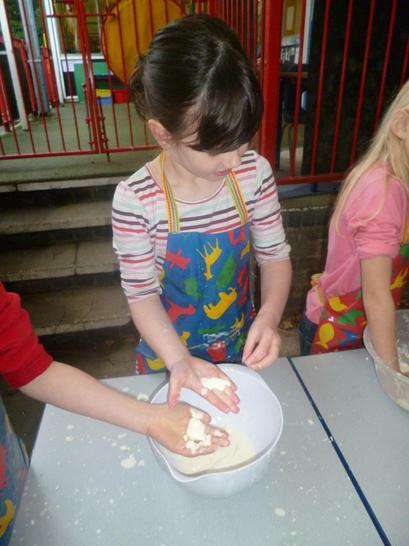 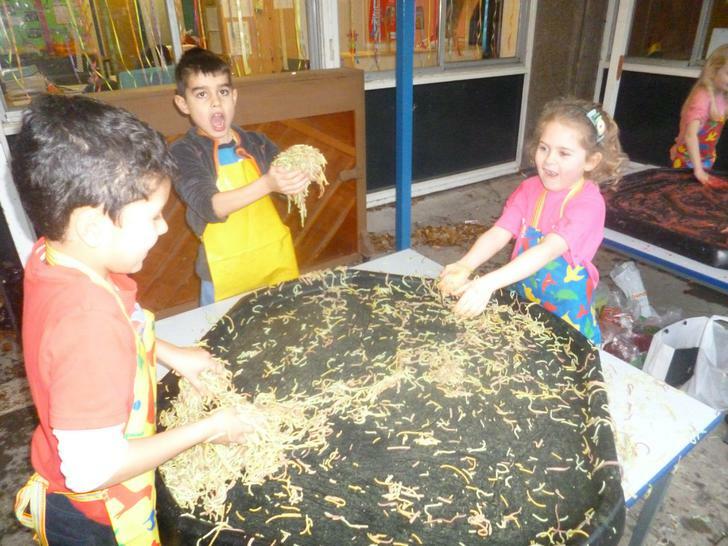 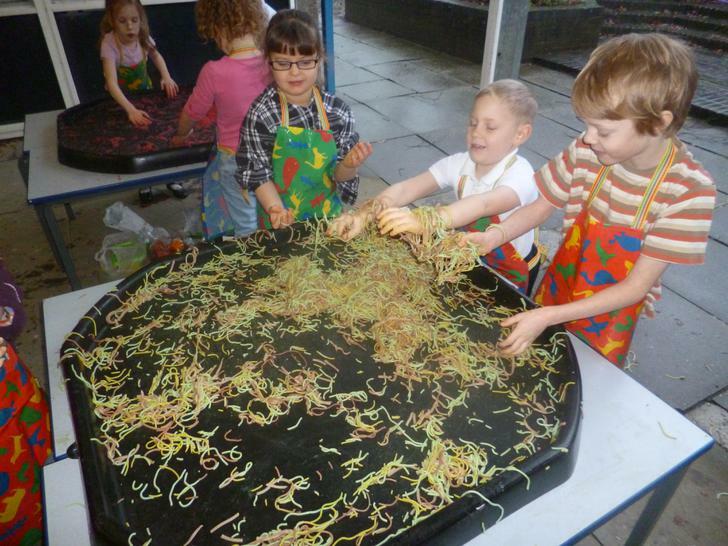 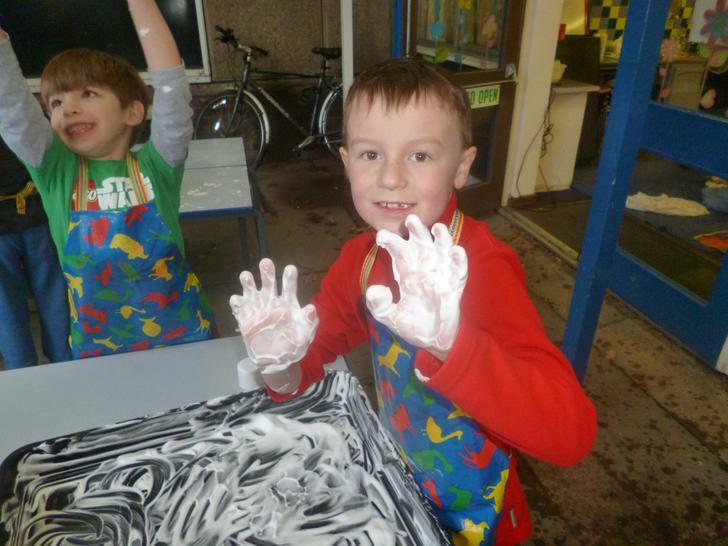 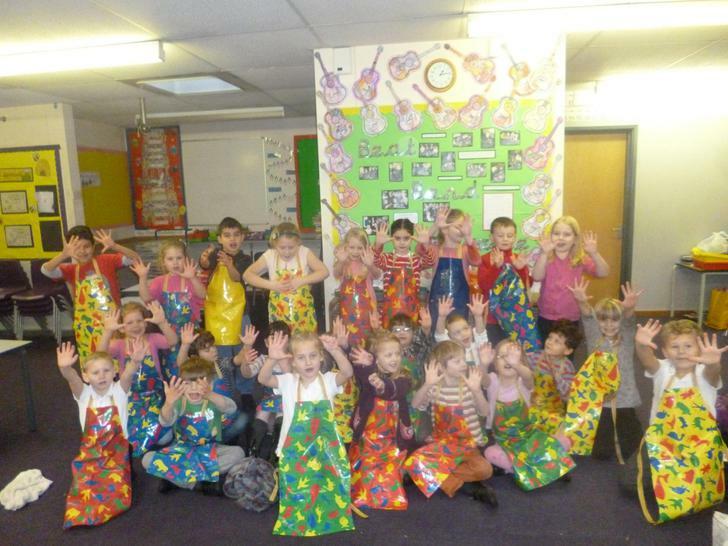 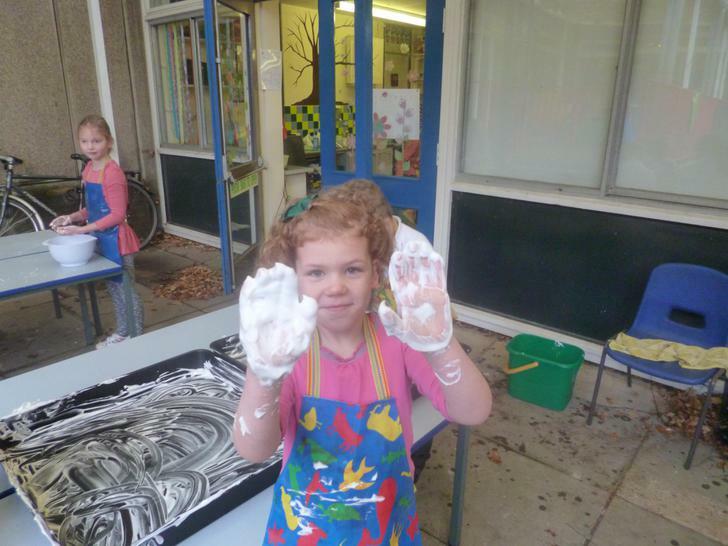 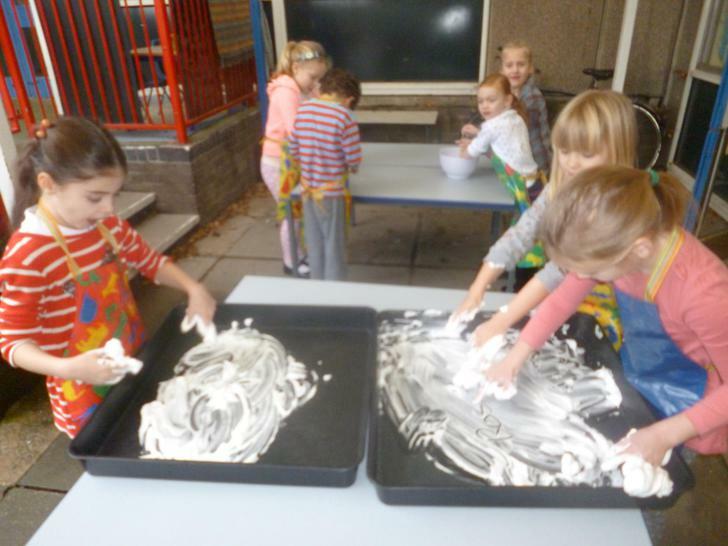 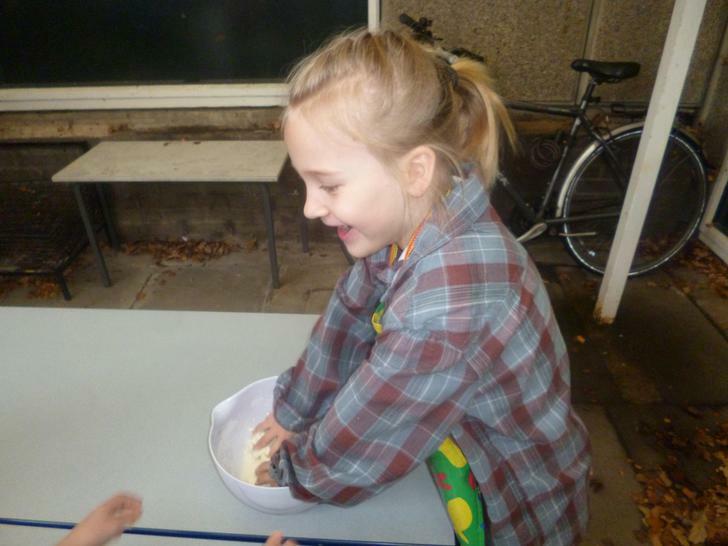 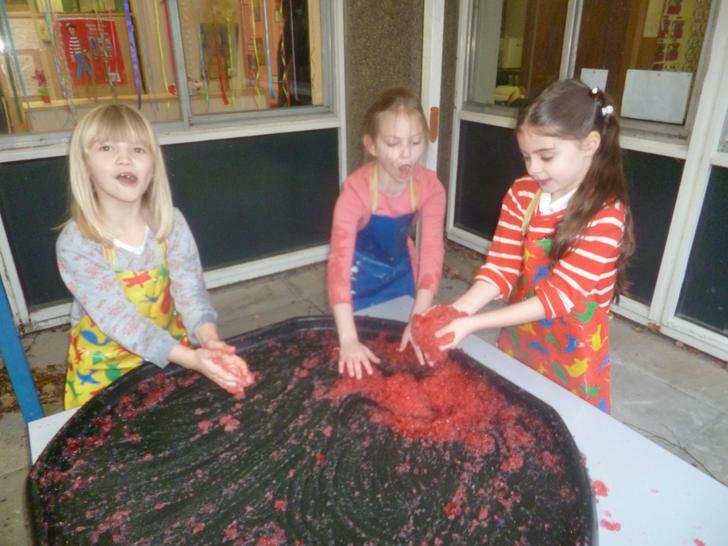 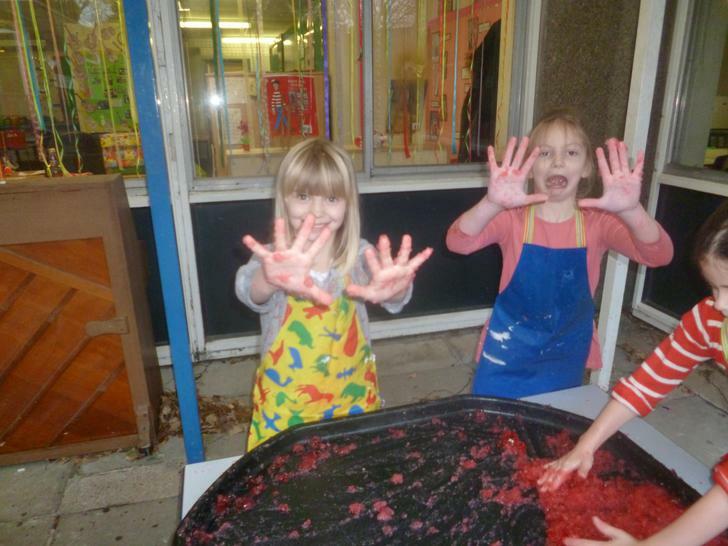 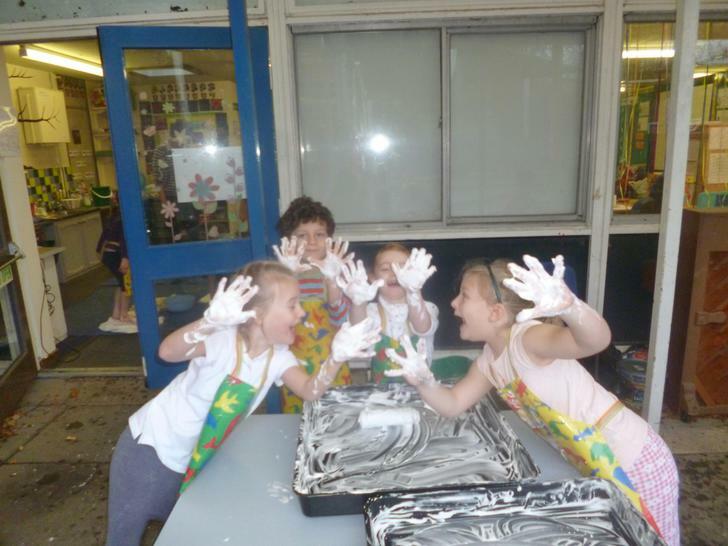 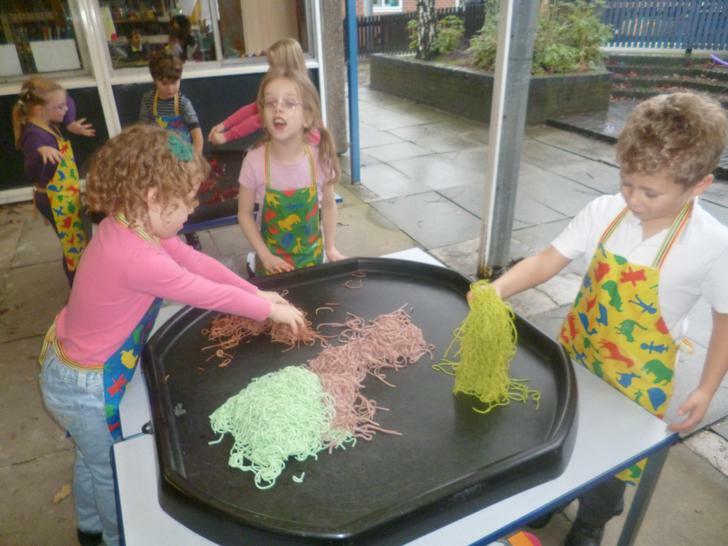 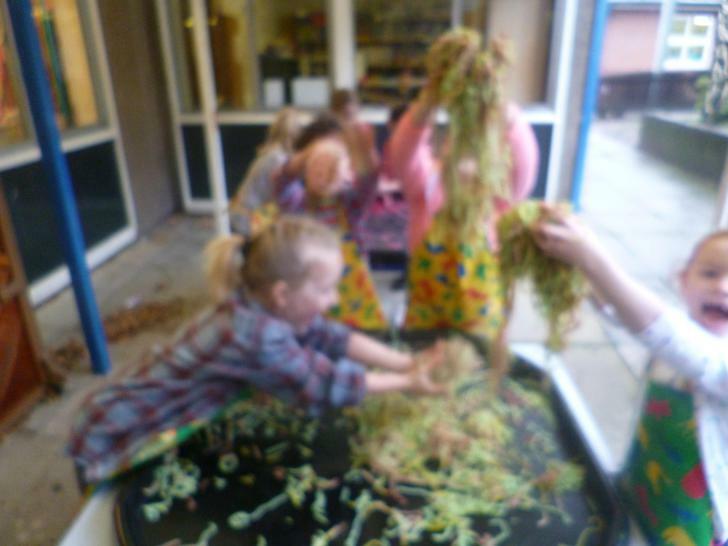 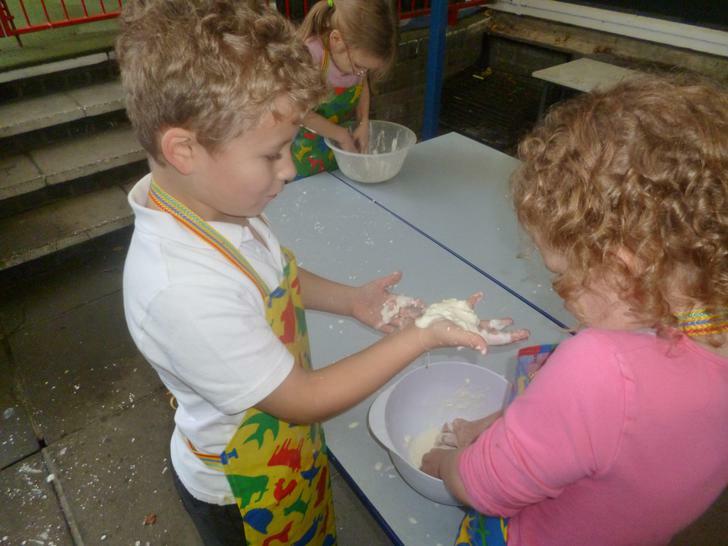 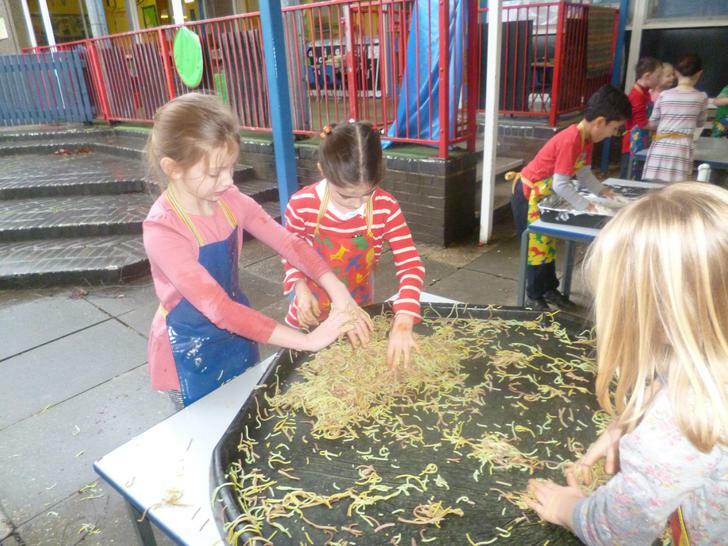 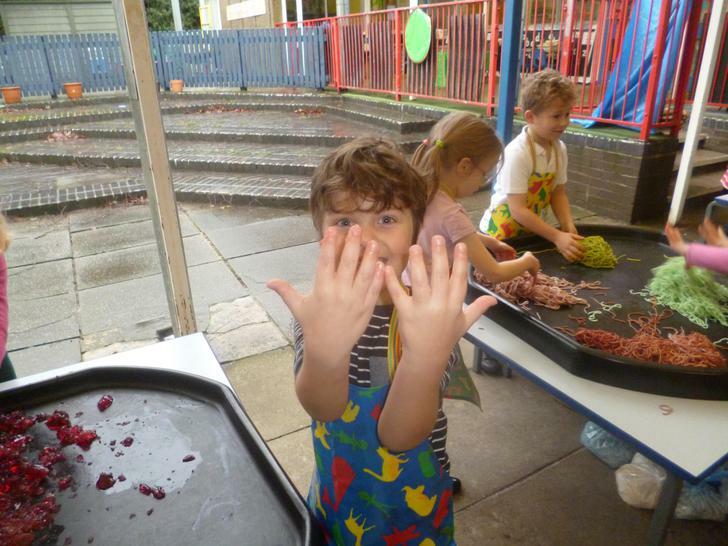 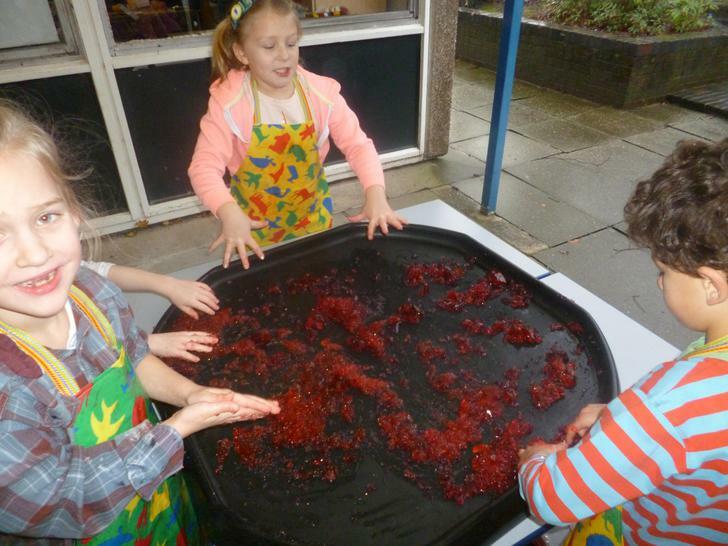 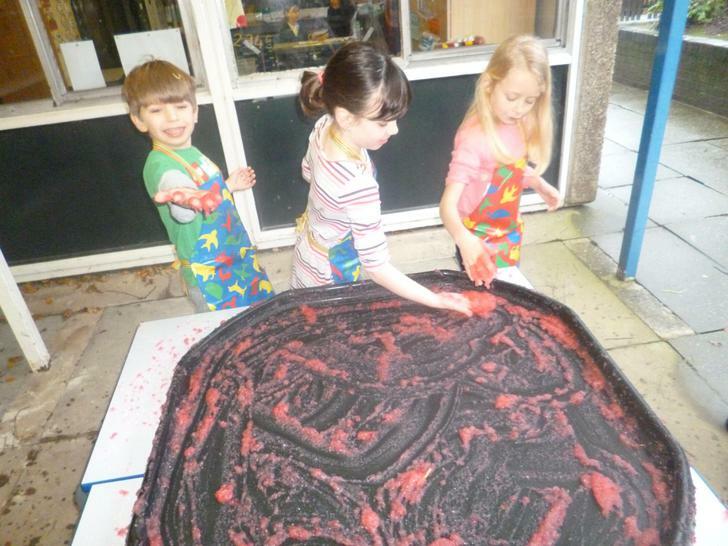 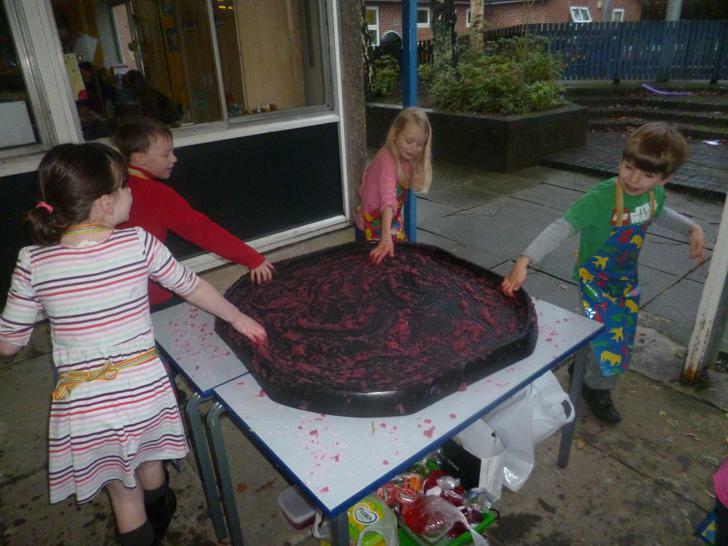 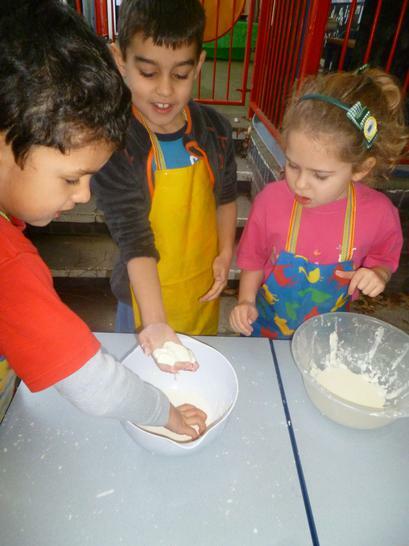 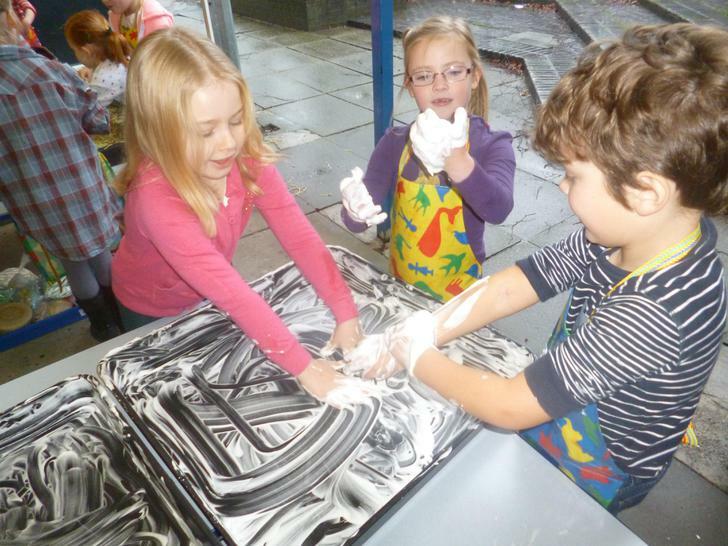 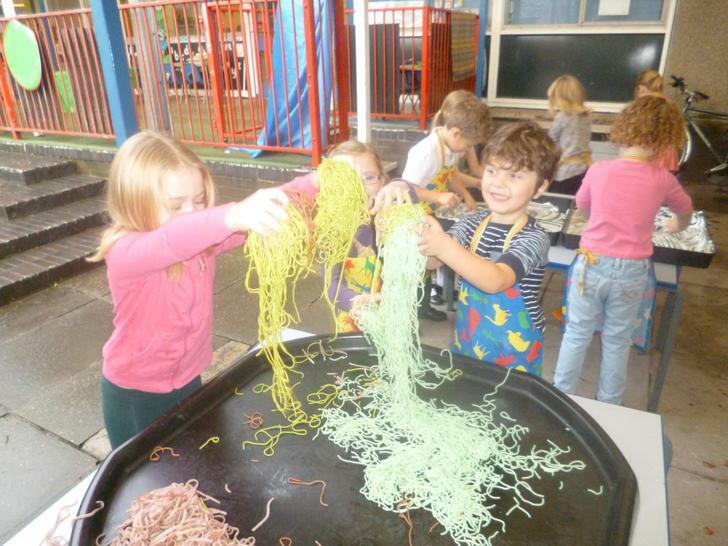 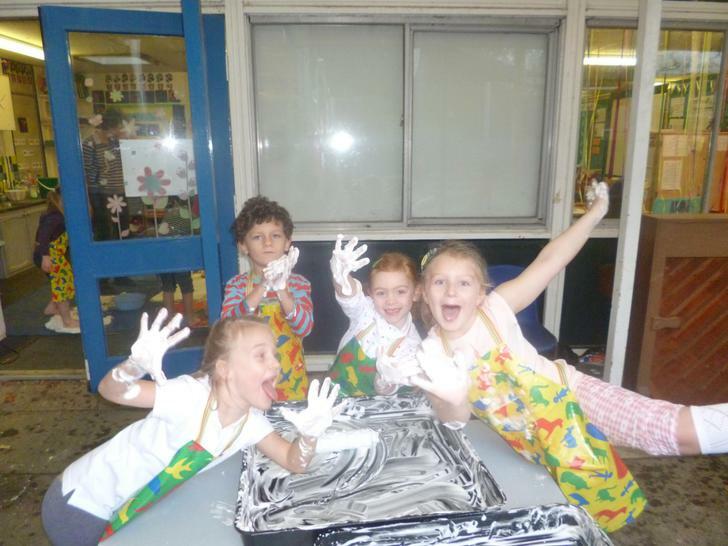 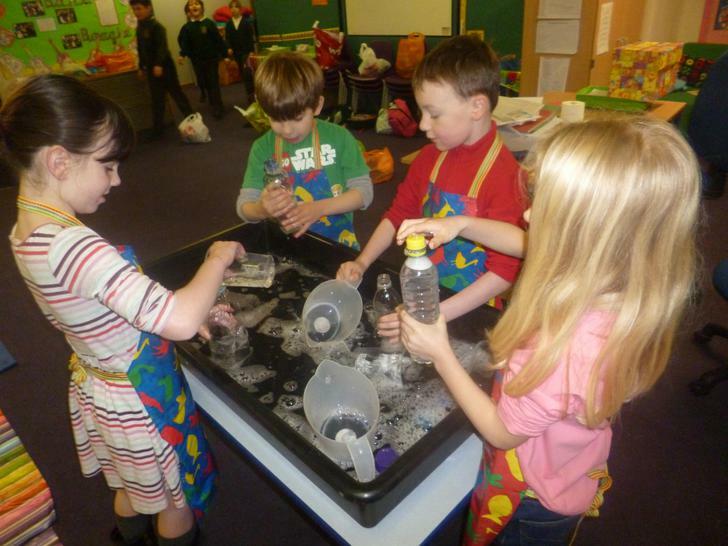 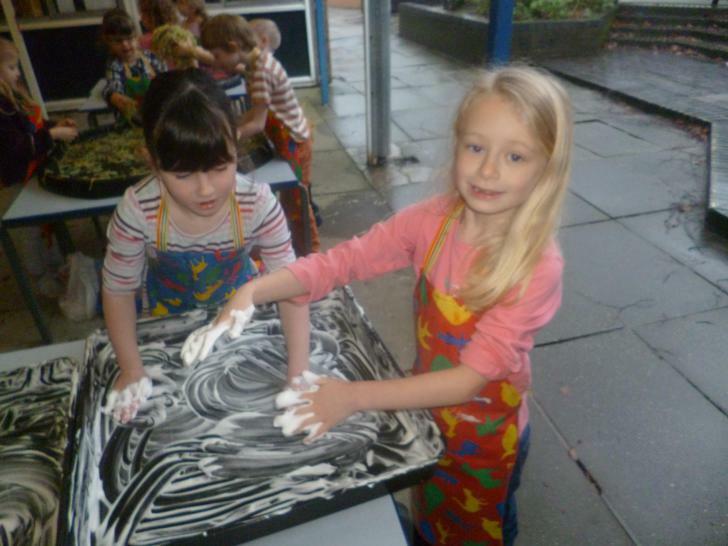 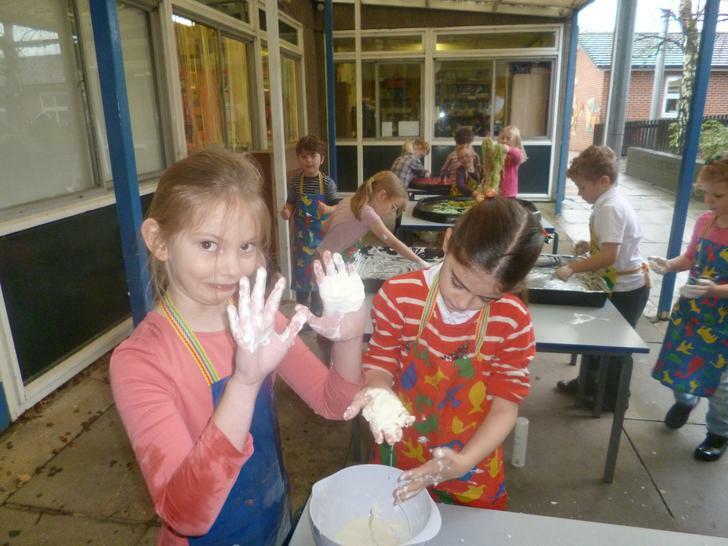 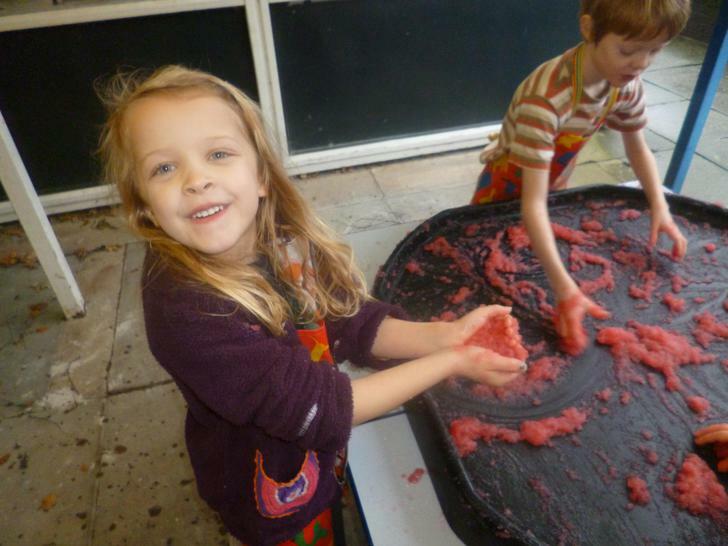 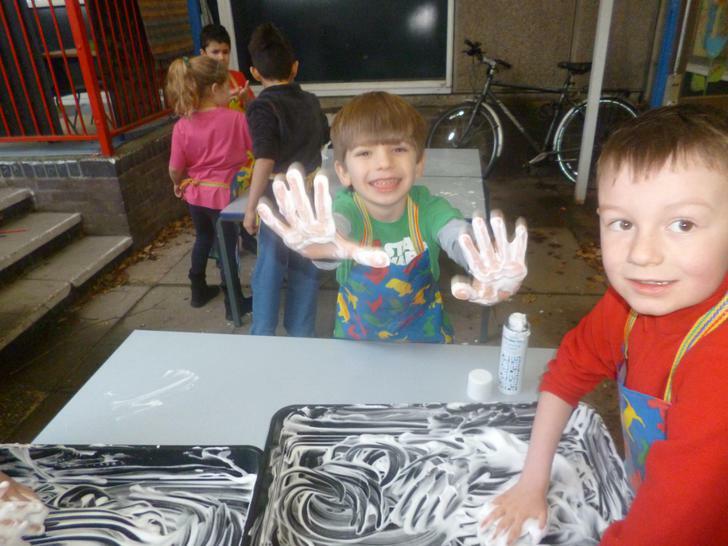 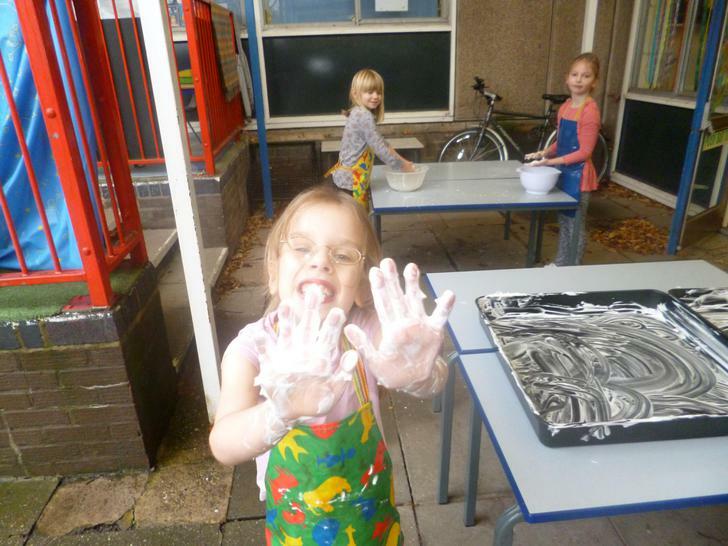 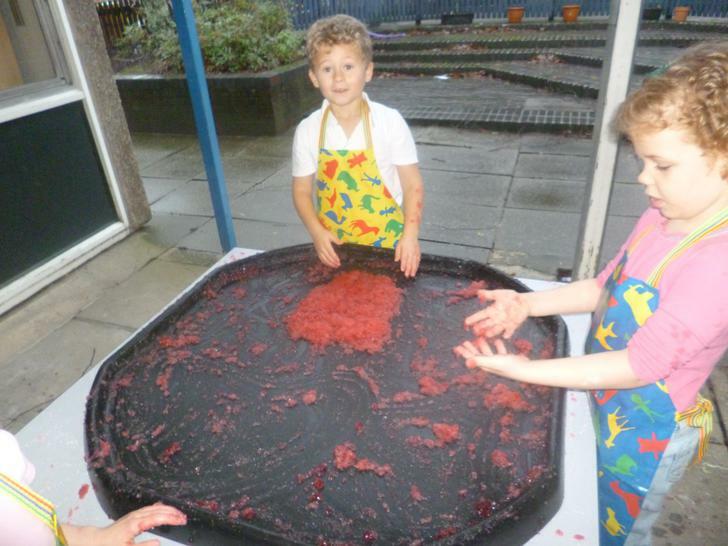 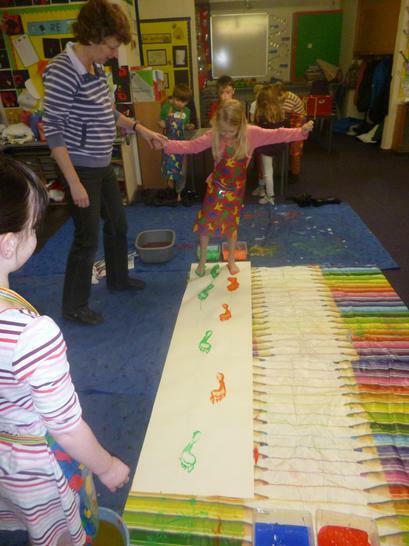 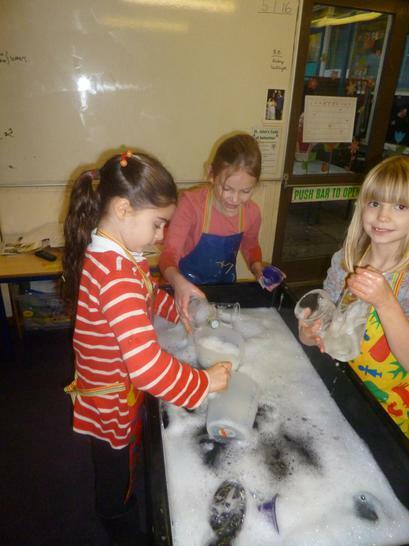 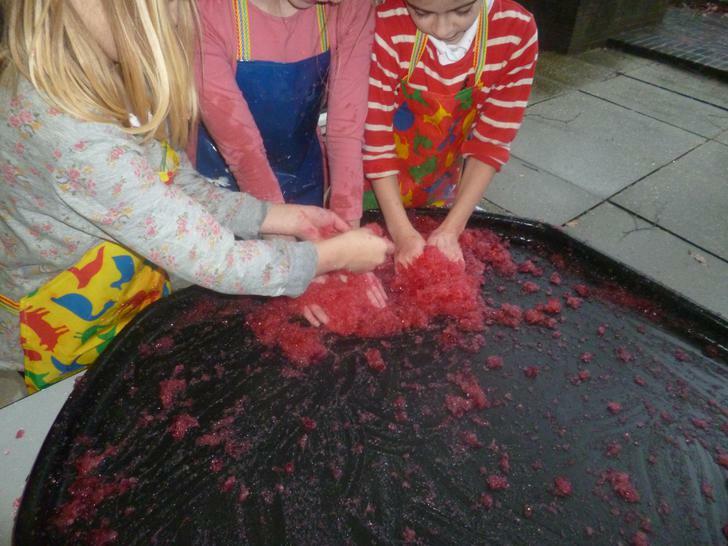 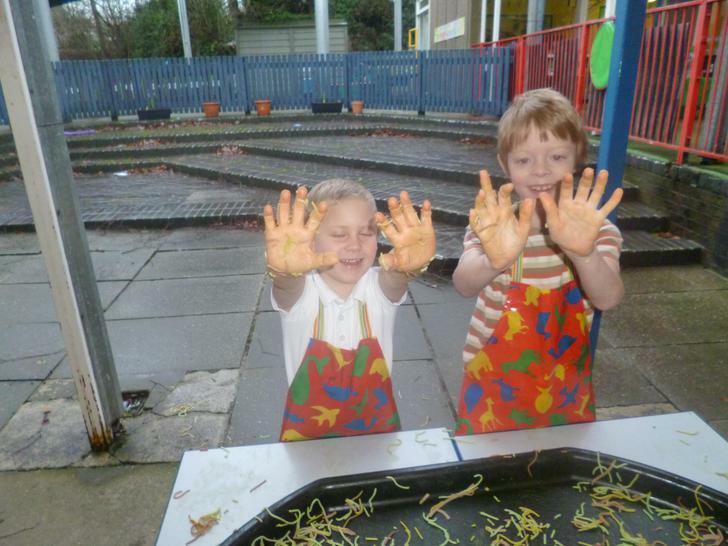 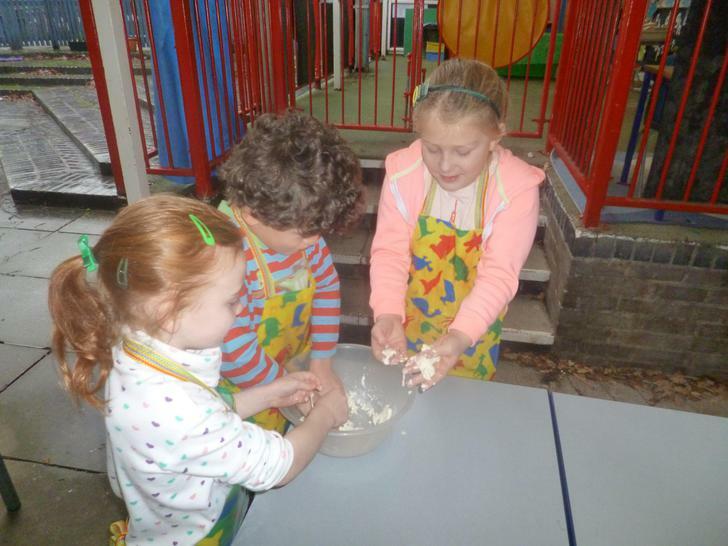 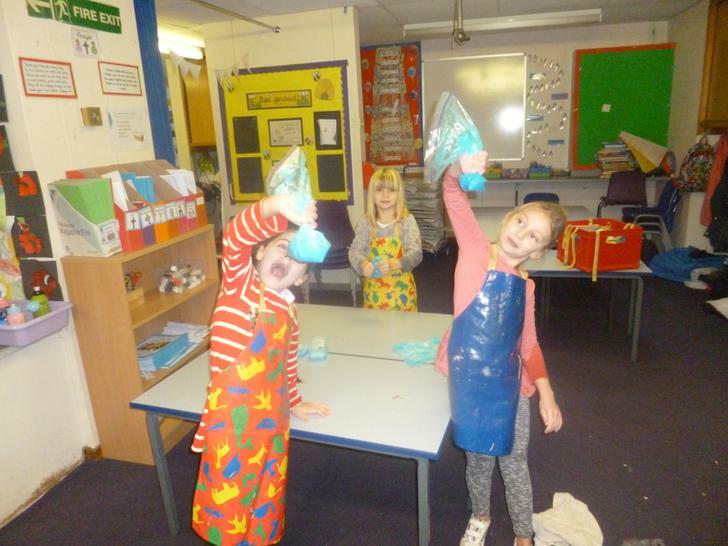 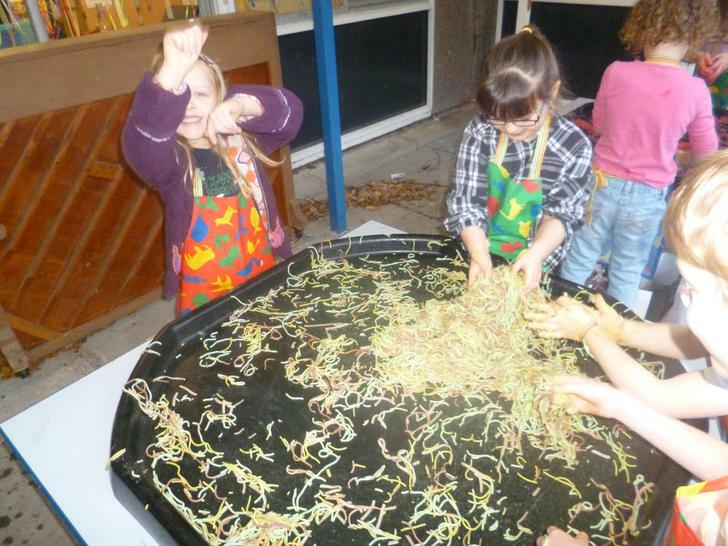 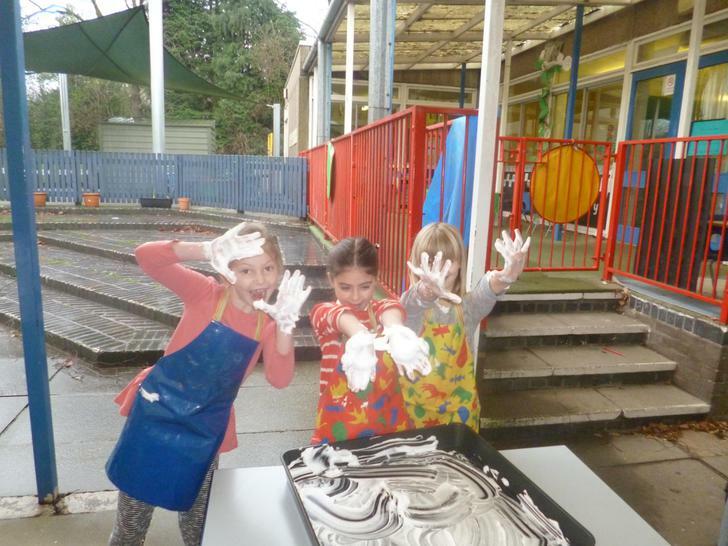 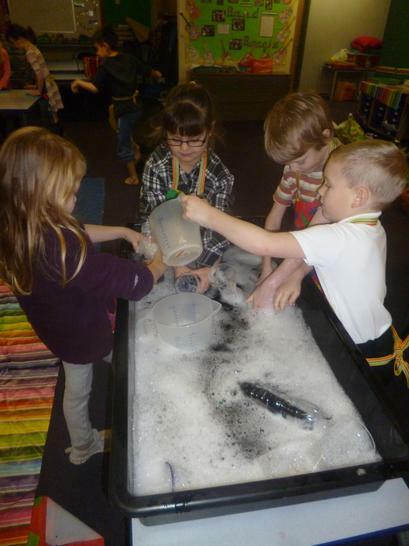 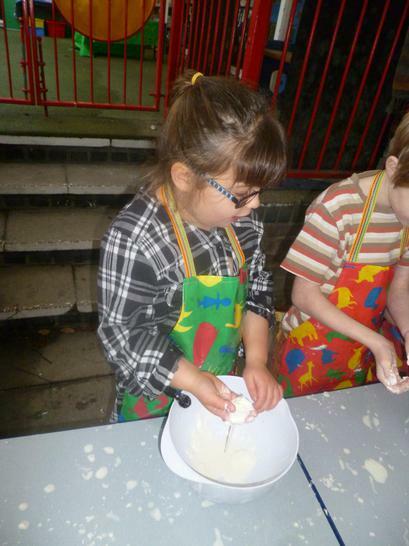 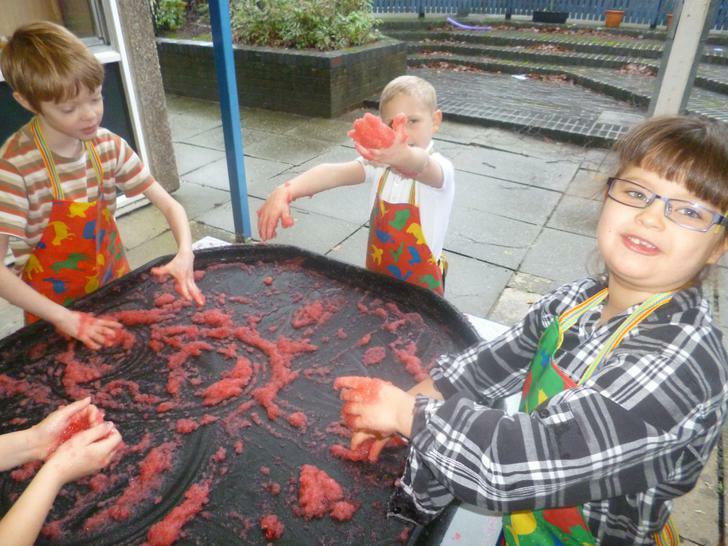 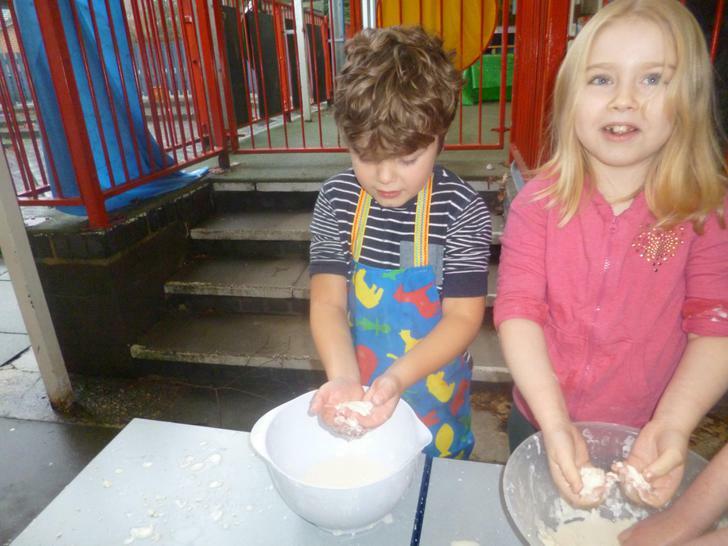 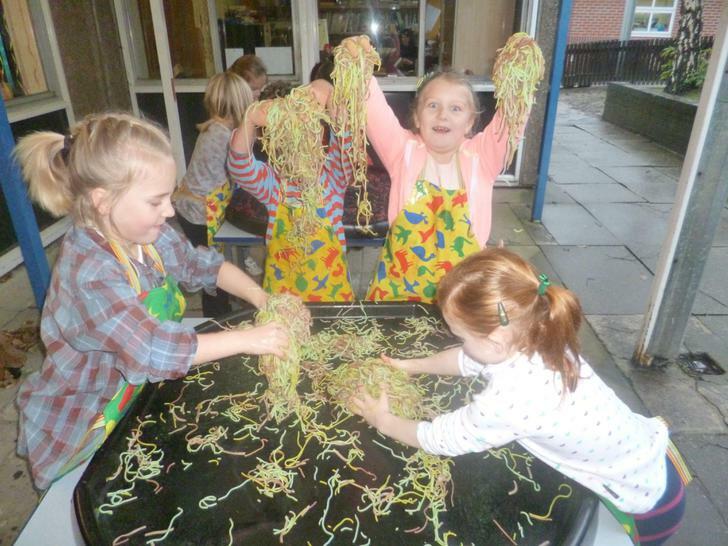 We had a brilliant time getting messy! 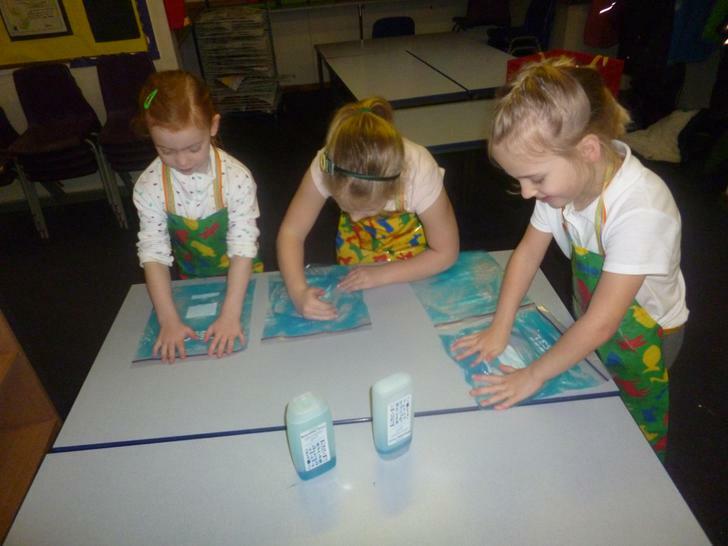 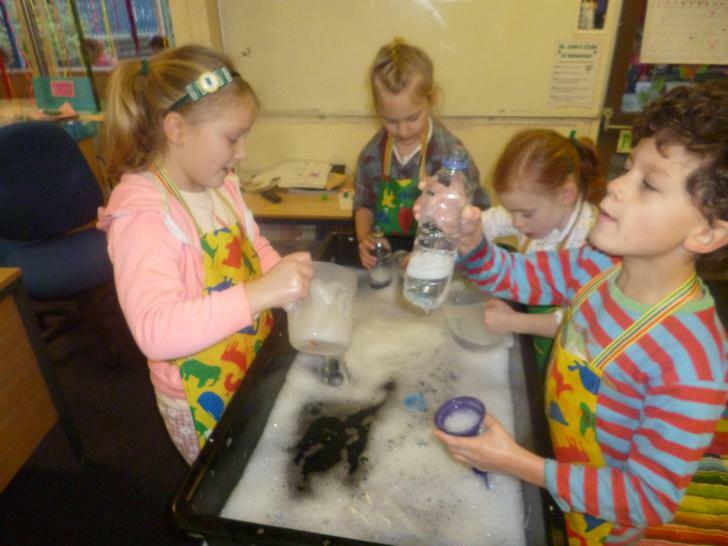 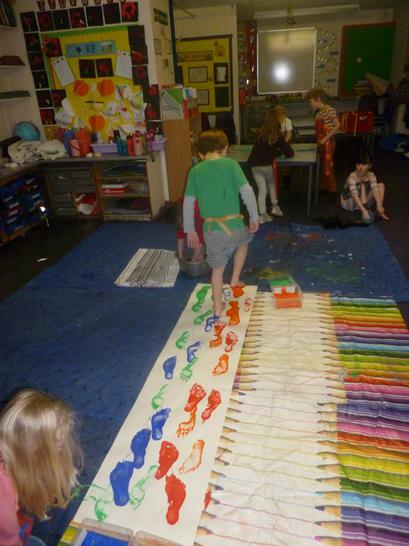 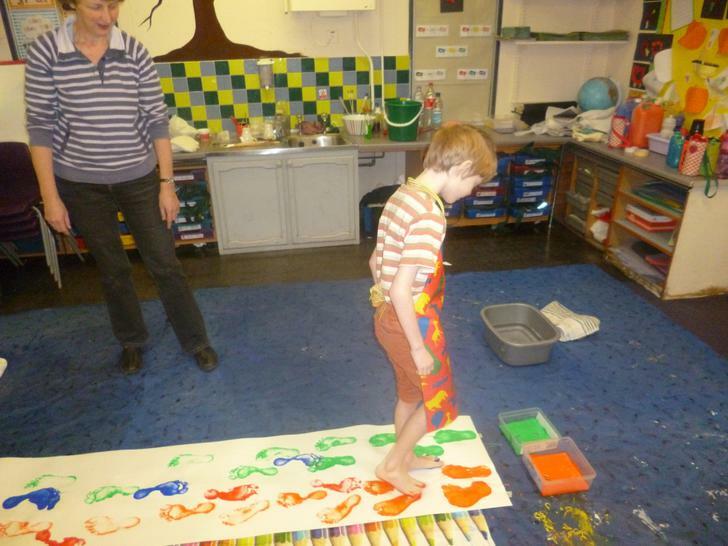 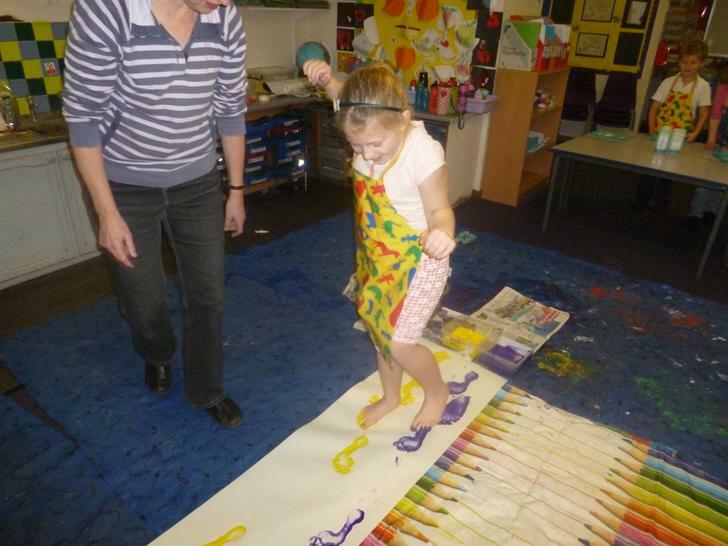 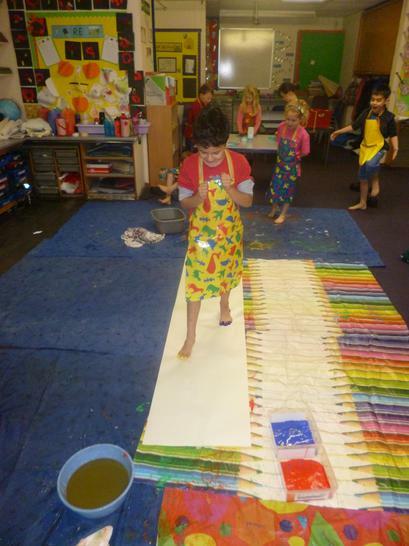 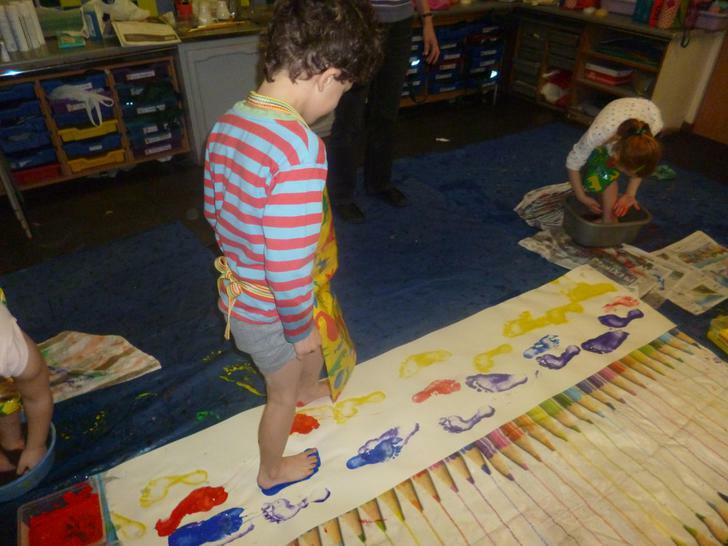 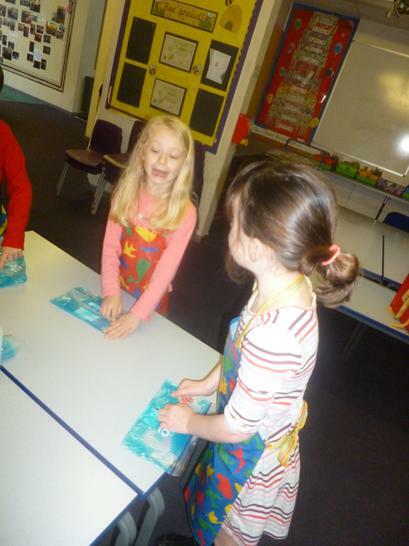 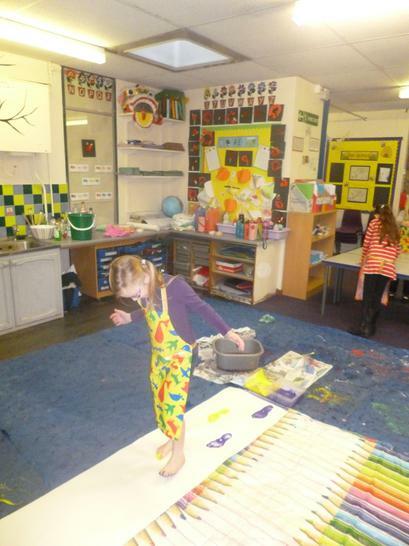 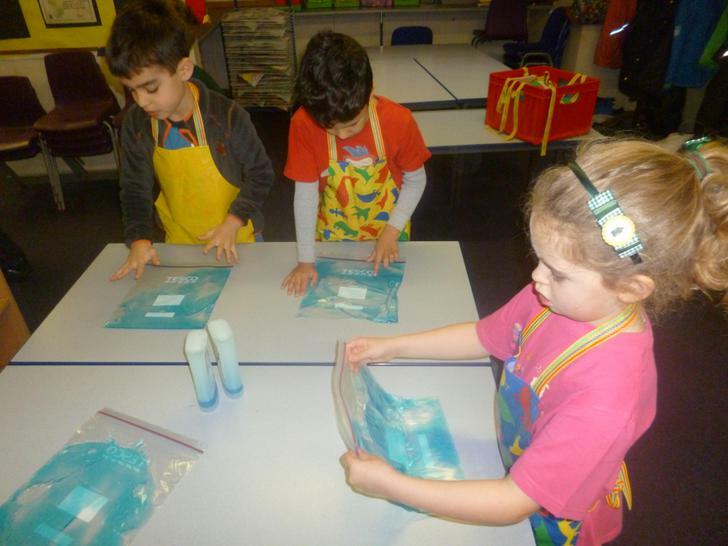 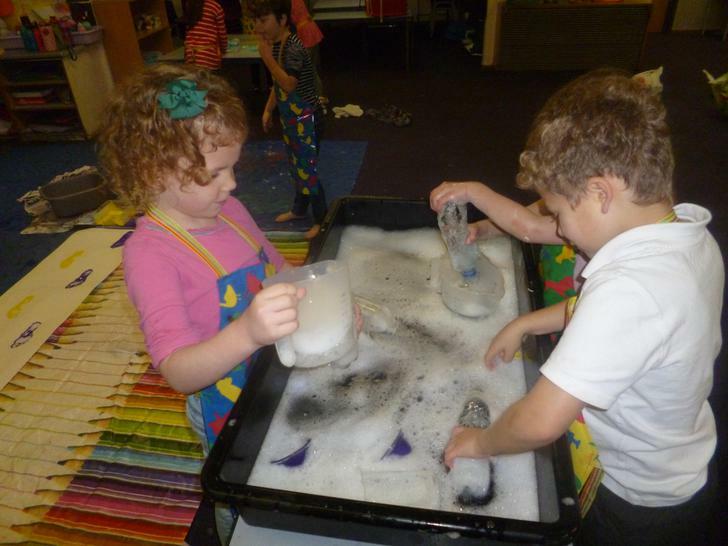 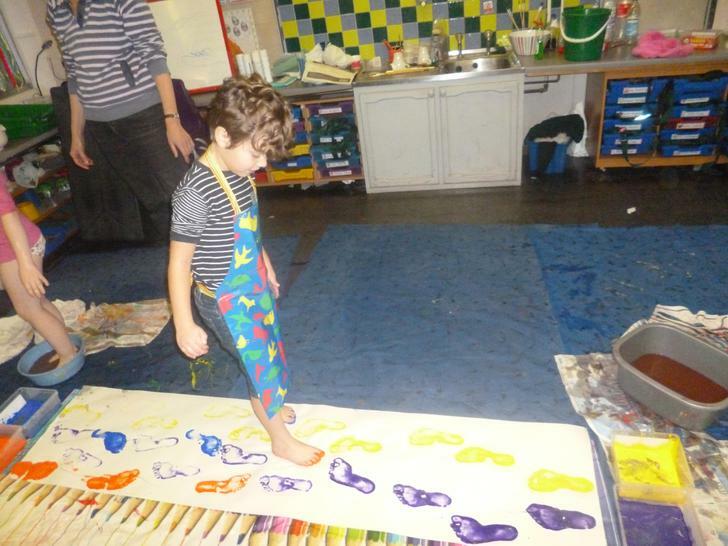 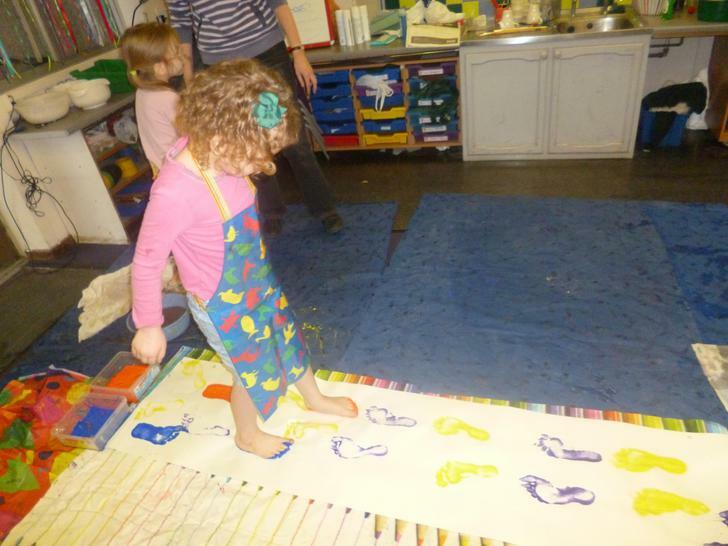 We experimented with jelly, spaghetti, shaving foam, bubbles, cornflour and water, shower gel and even printed with our feet! 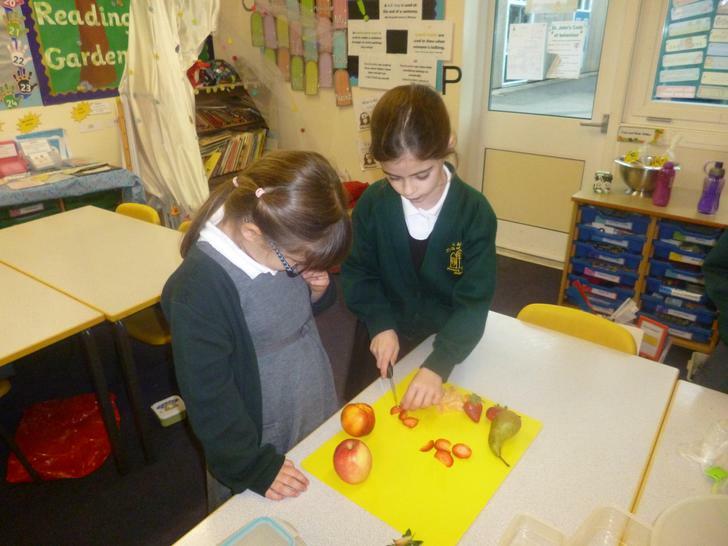 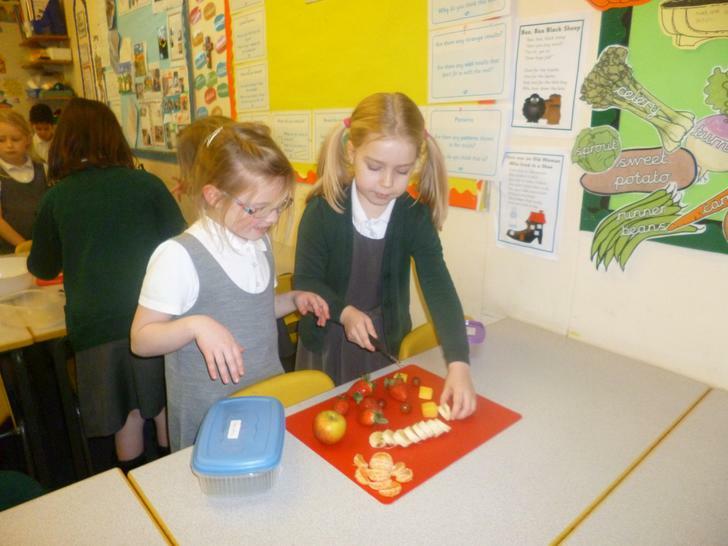 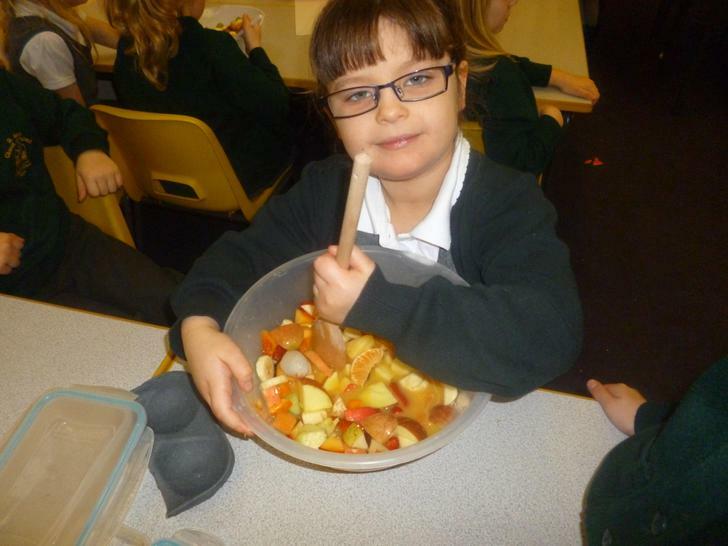 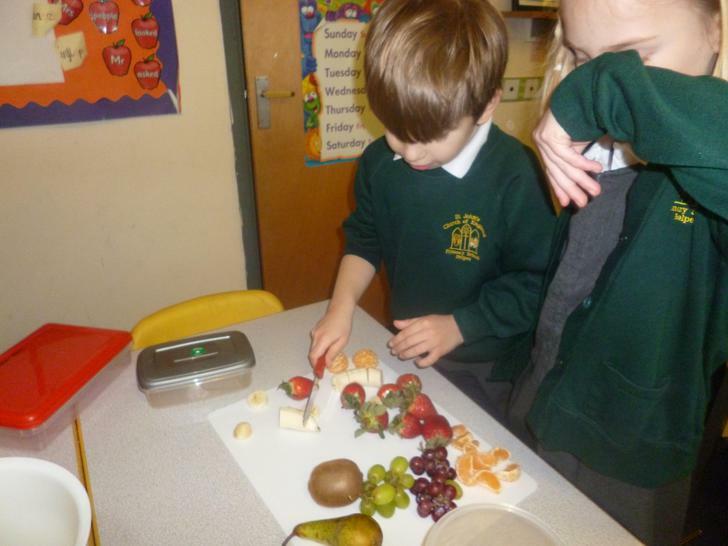 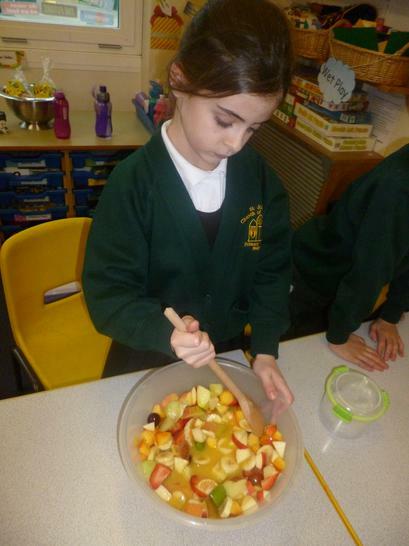 We talked about what it means to have a balanced diet. 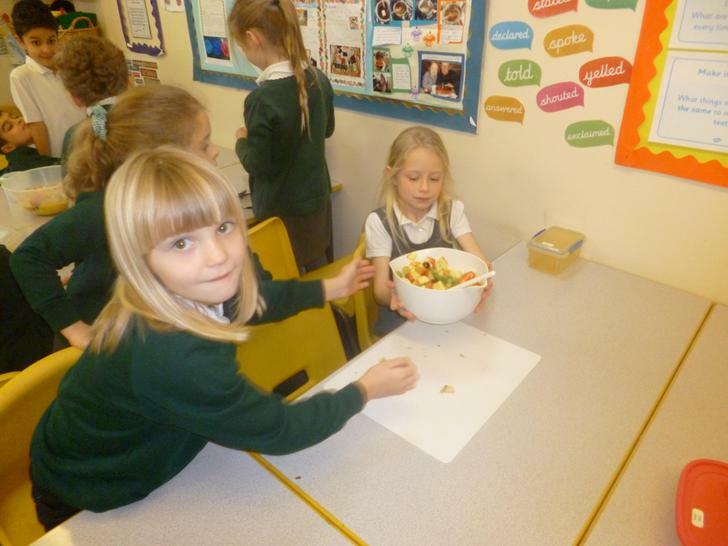 We completed balanced diet pyramids to show the foods that we need a lot of and foods that should just be a treat. 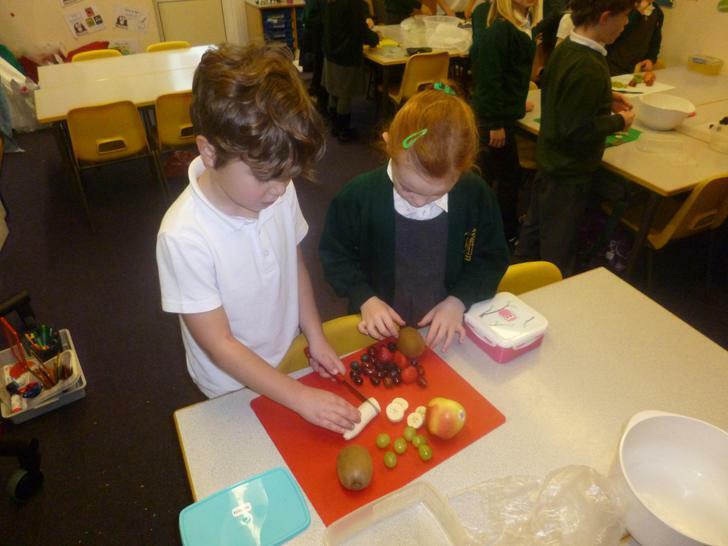 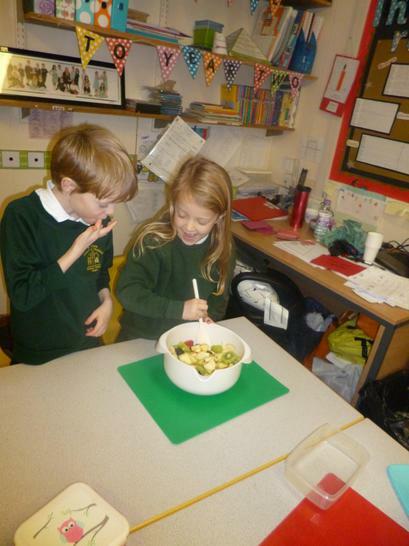 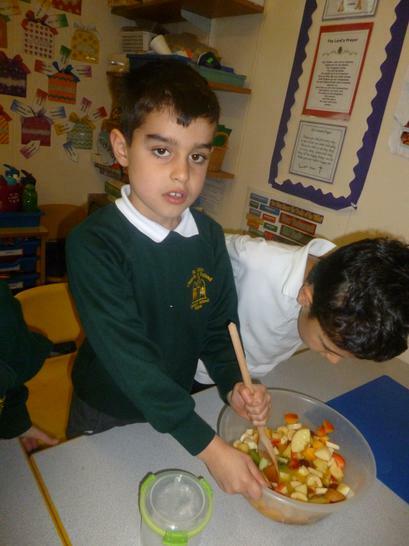 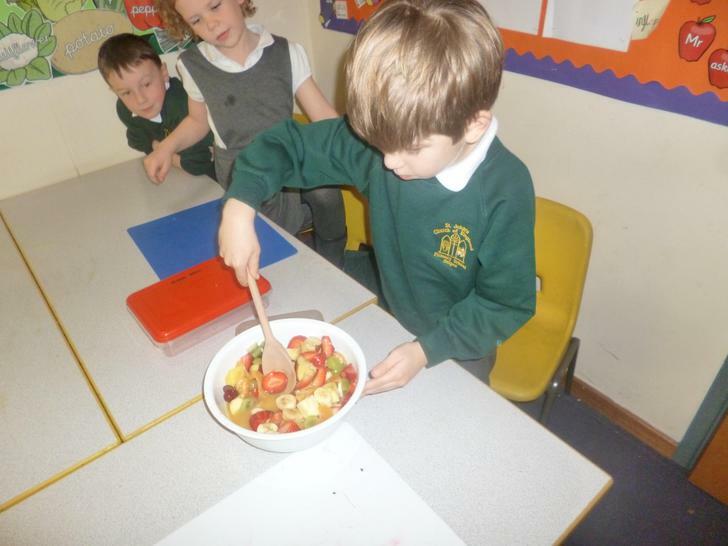 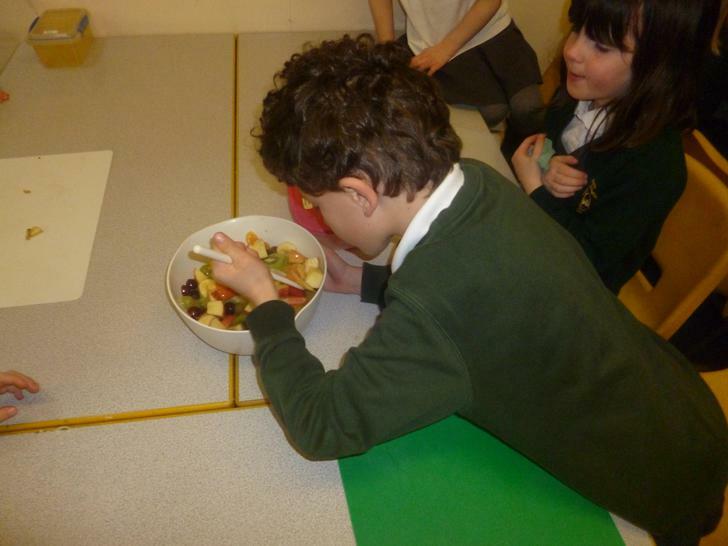 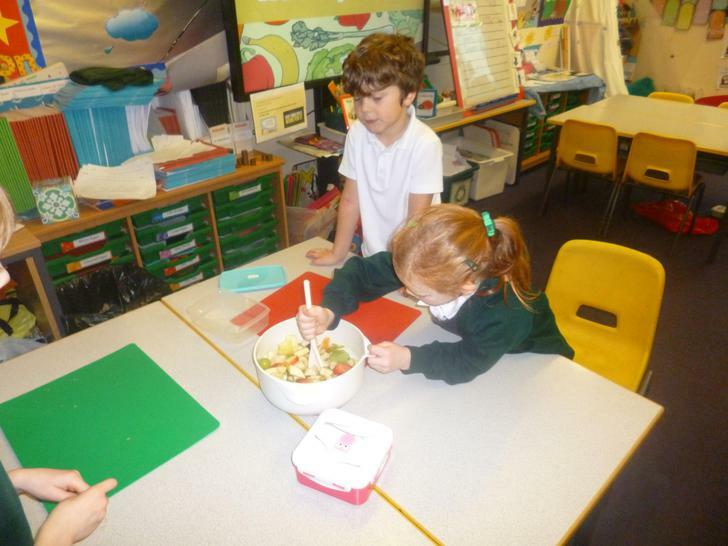 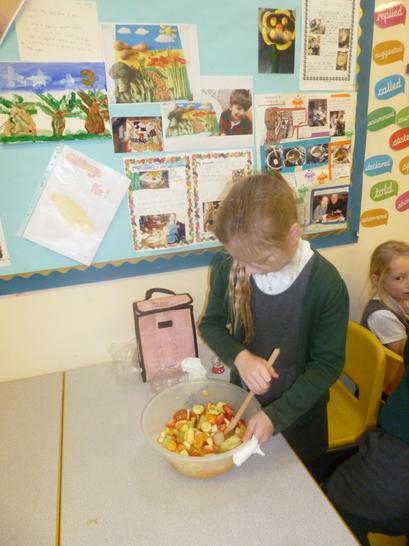 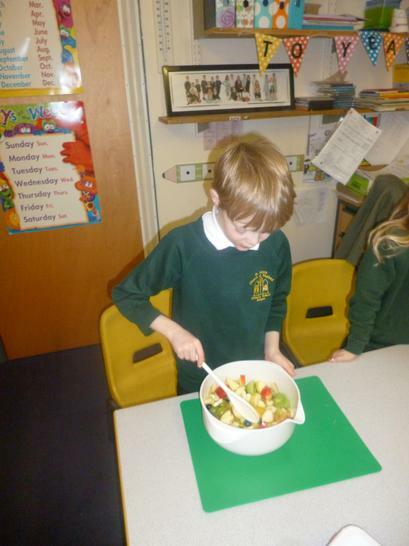 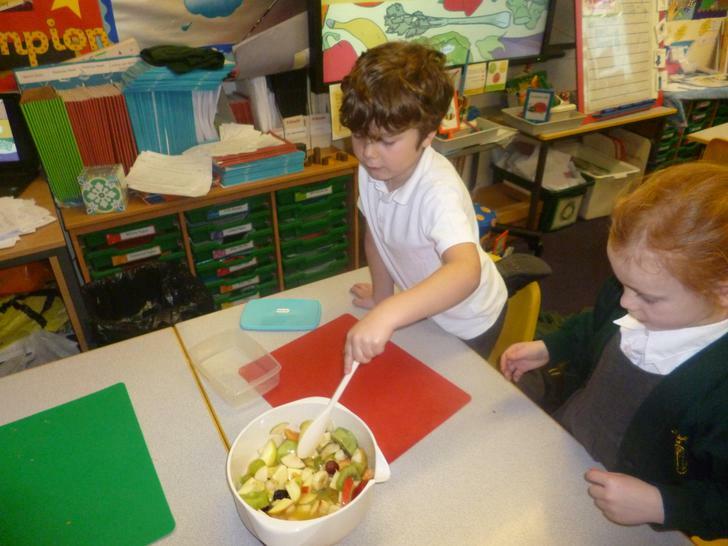 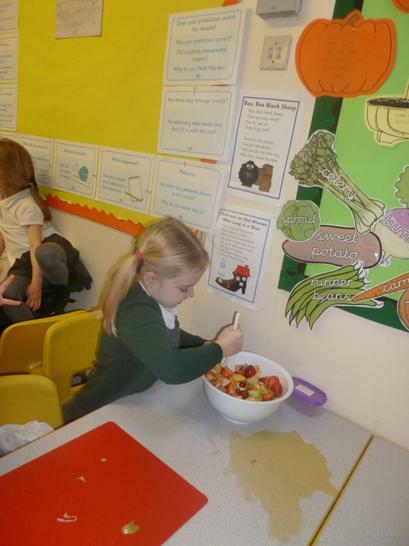 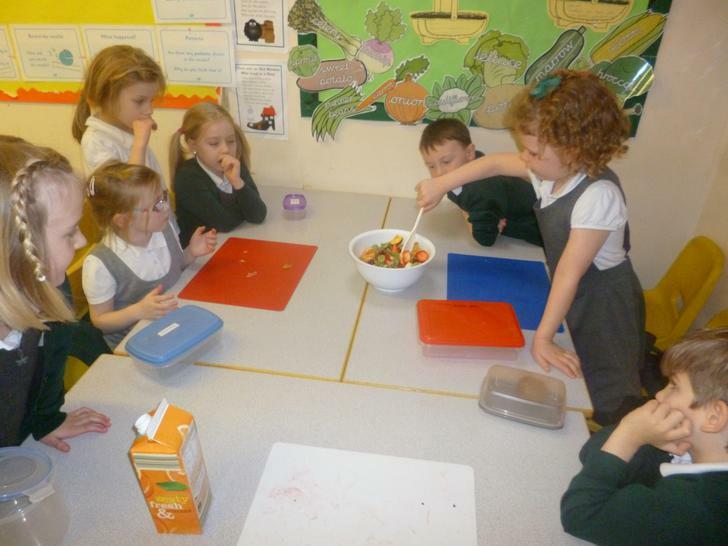 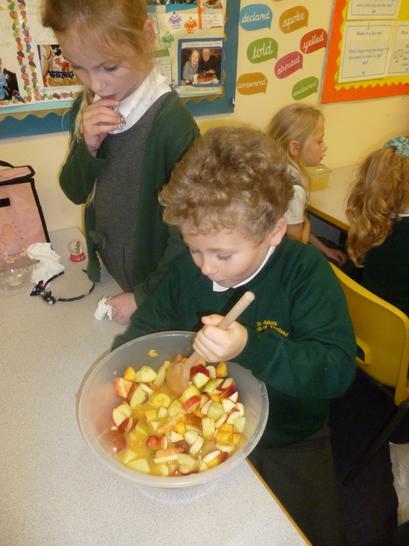 Look at our healthy fruit salads! 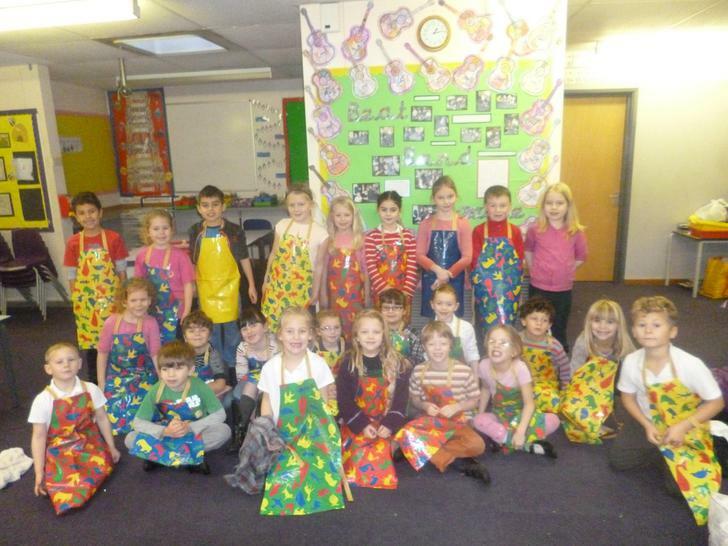 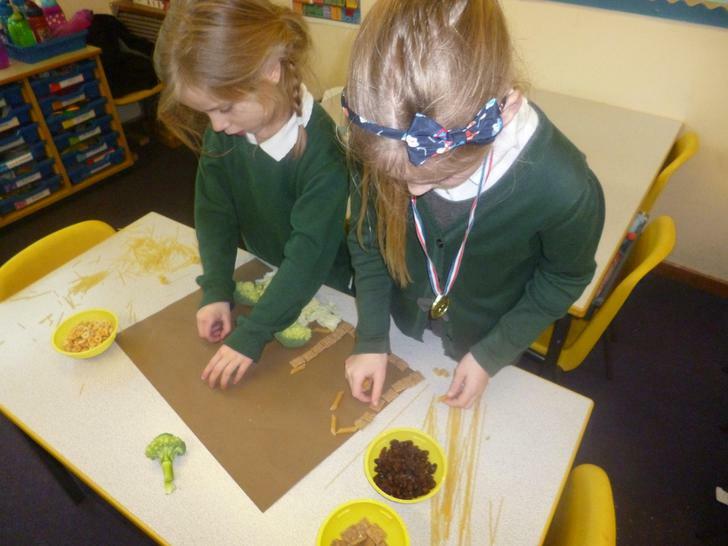 We looked at the work of Carl Warner and talked about all the different foods he uses to create his artwork. 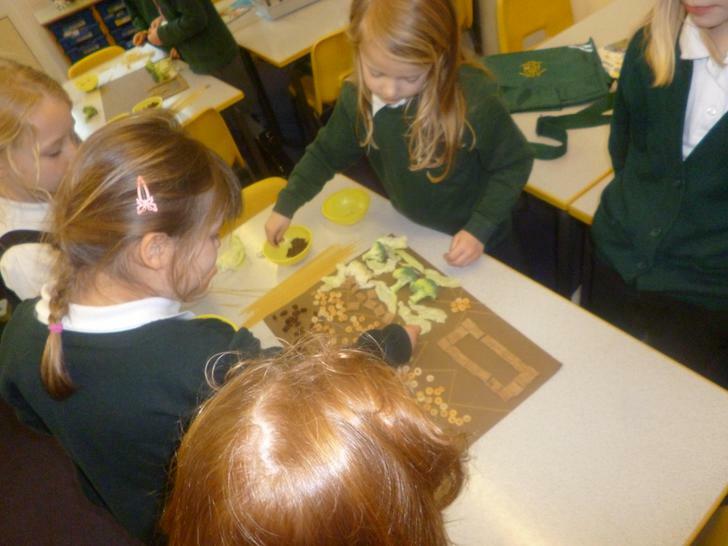 We discussed which pieces we liked the most, and why. 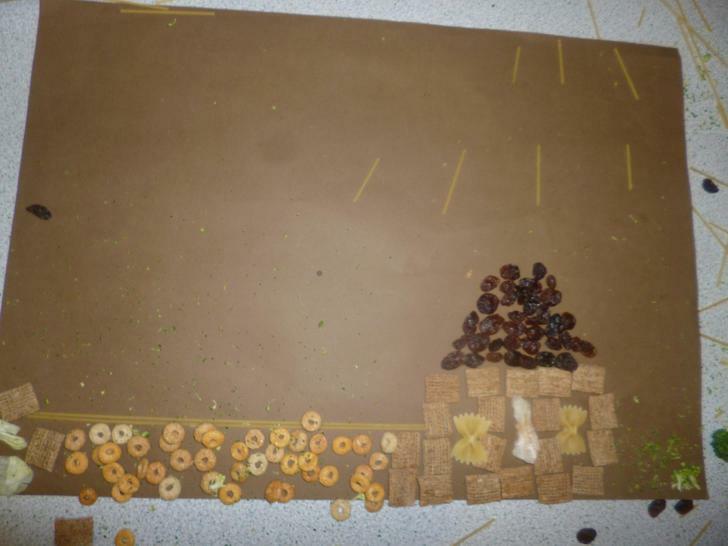 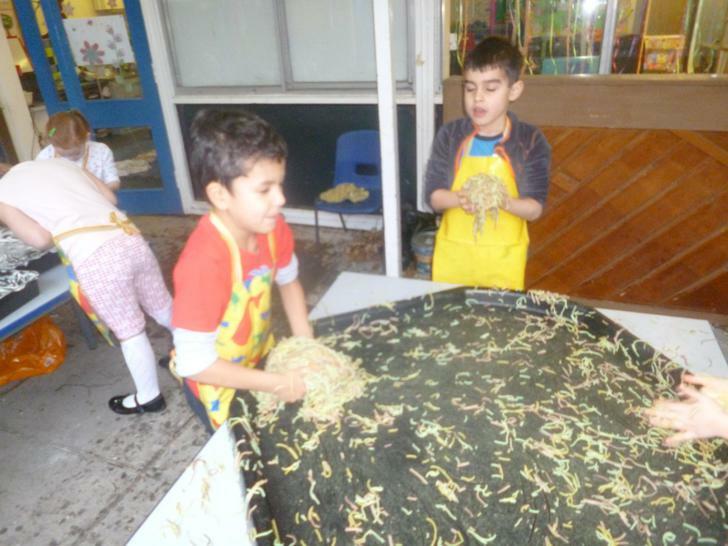 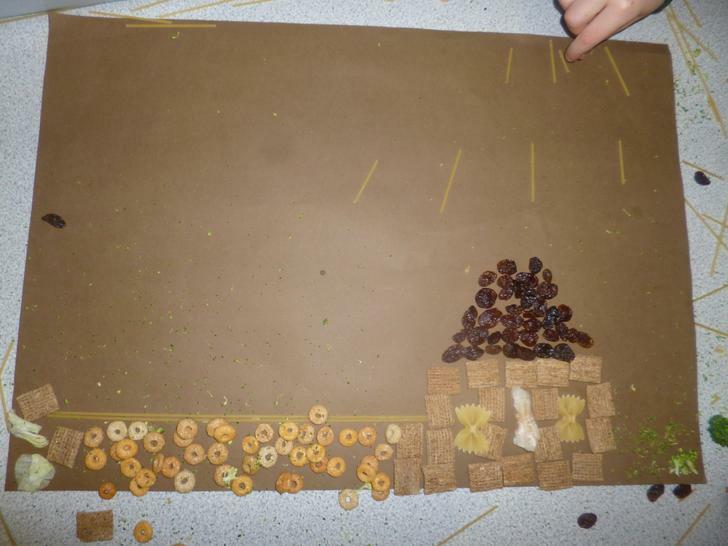 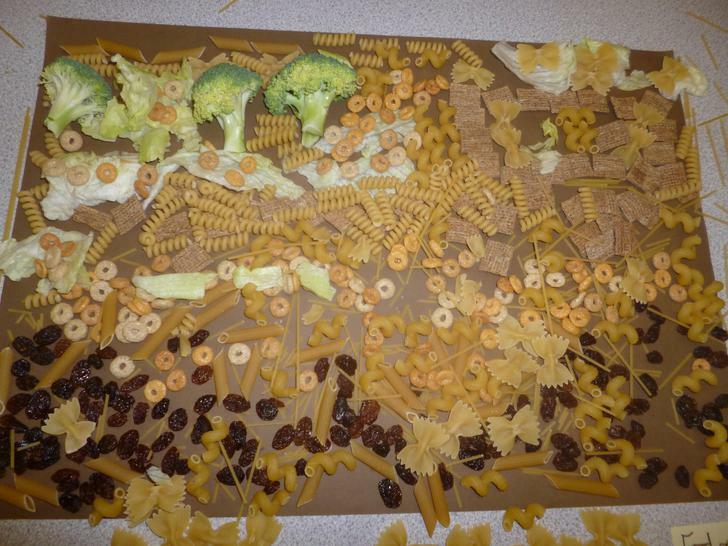 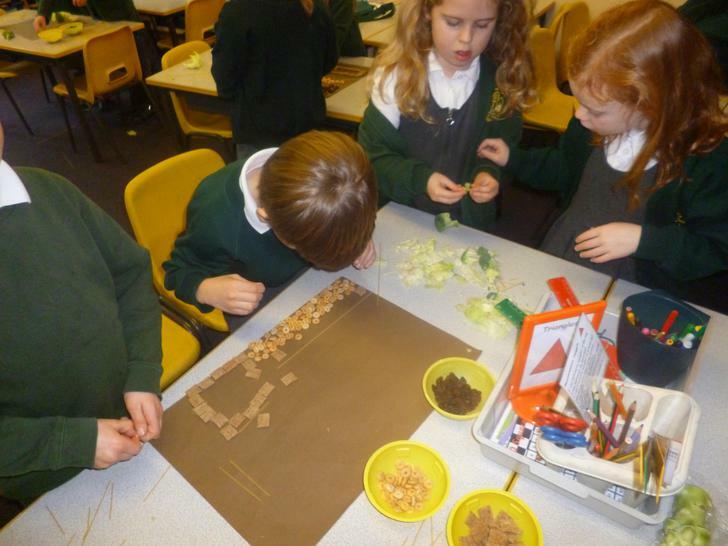 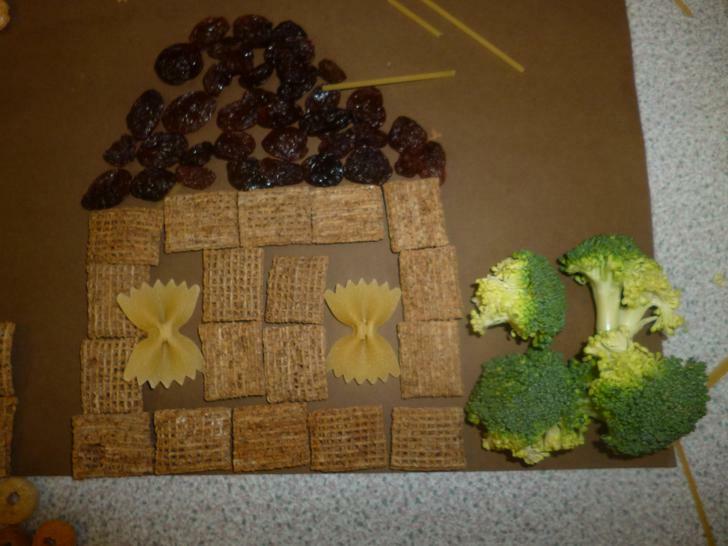 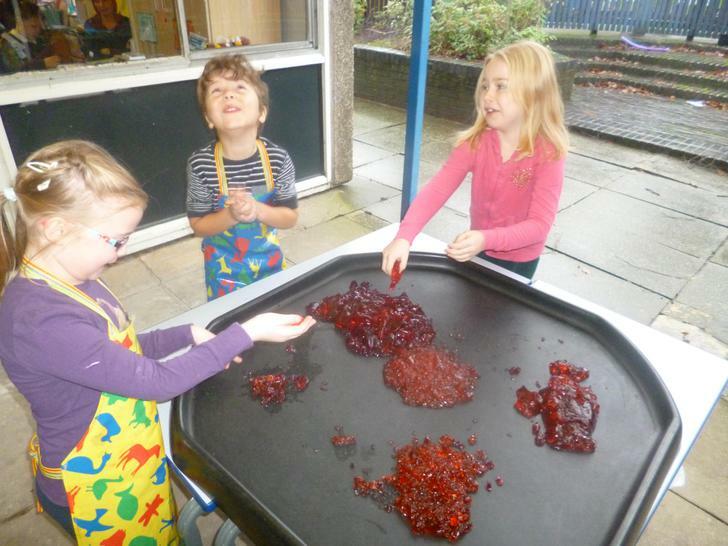 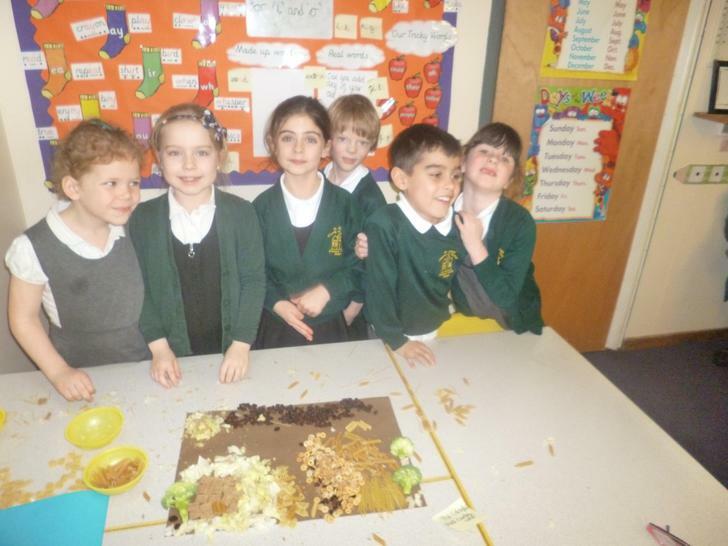 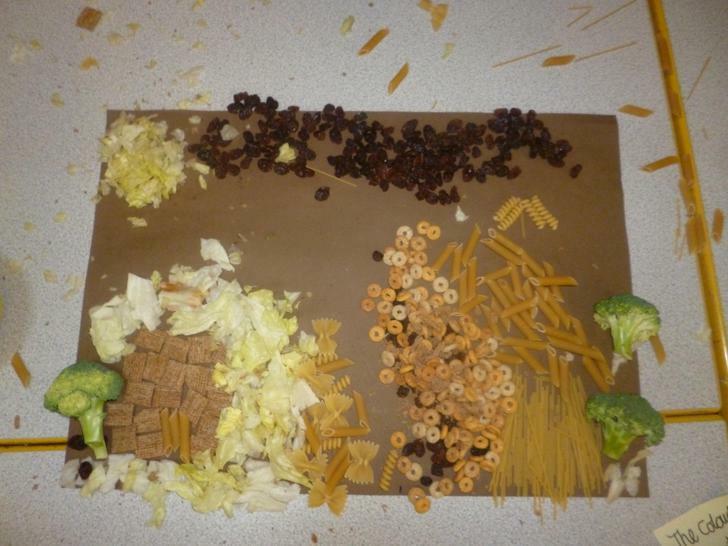 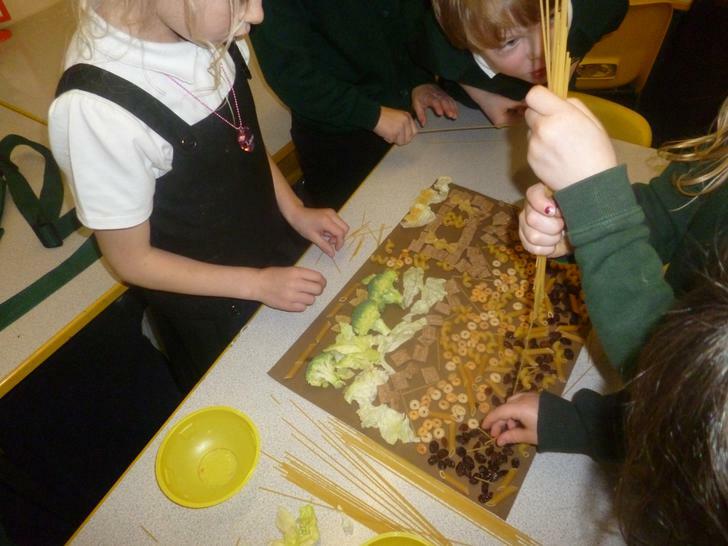 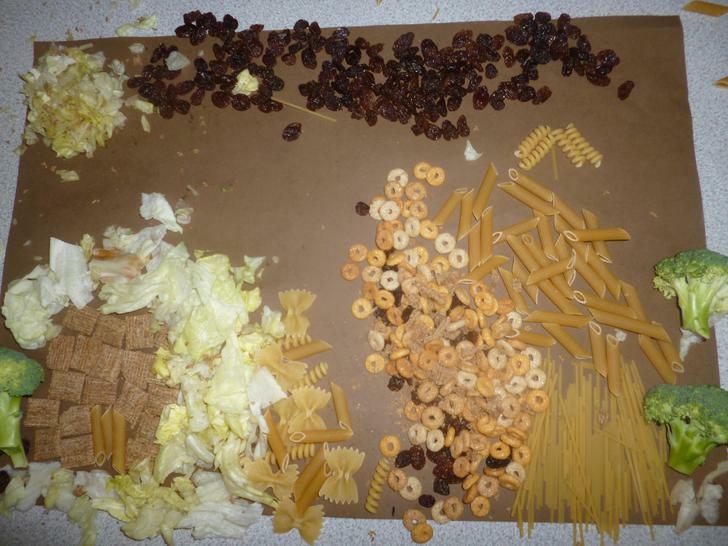 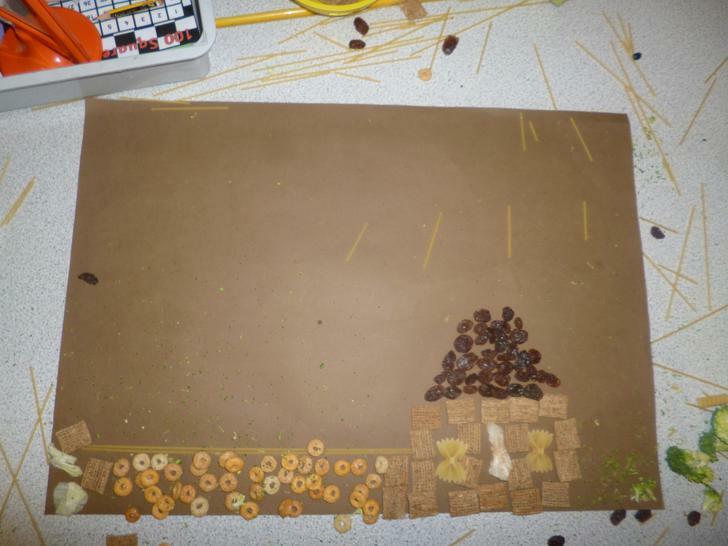 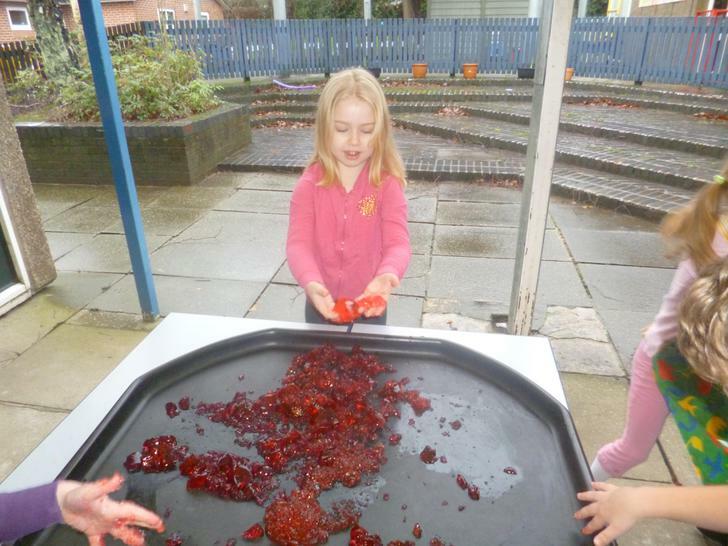 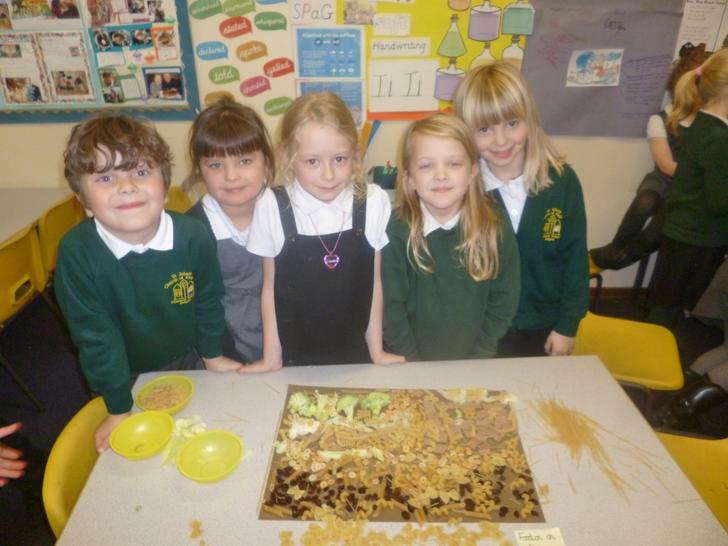 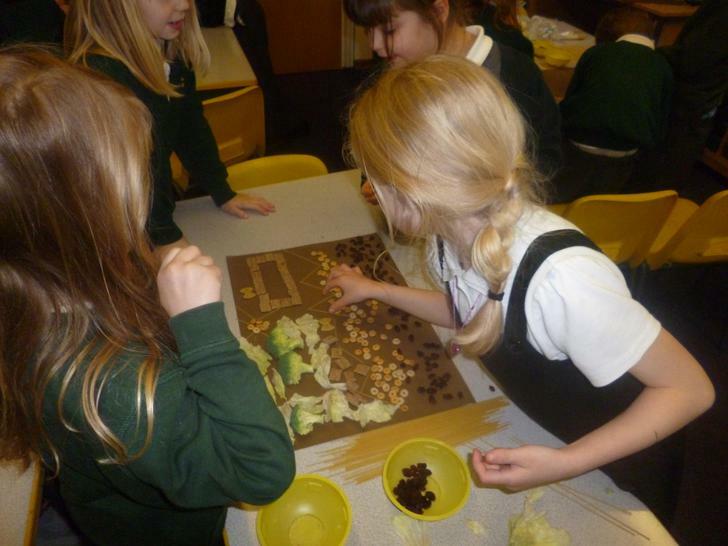 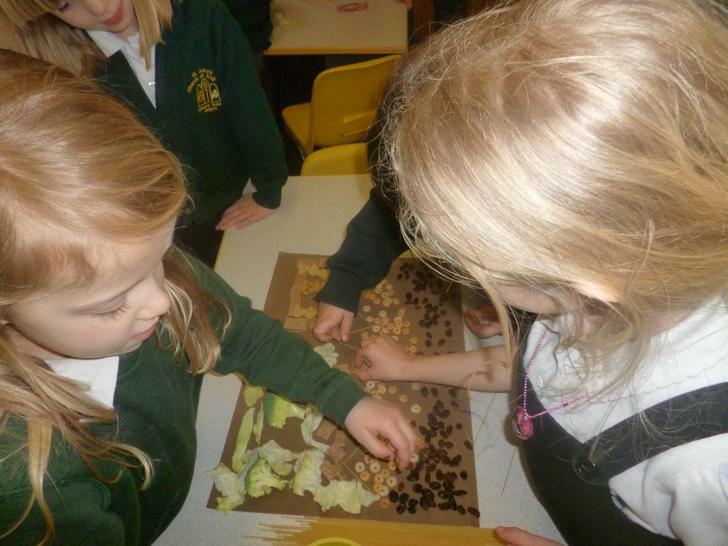 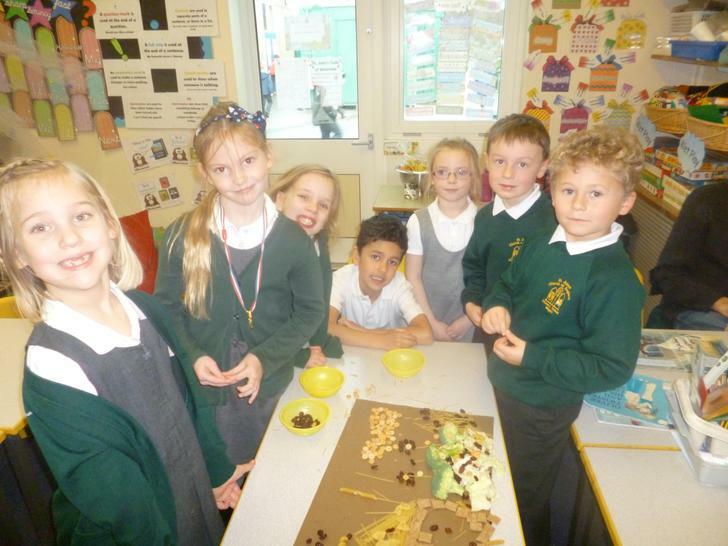 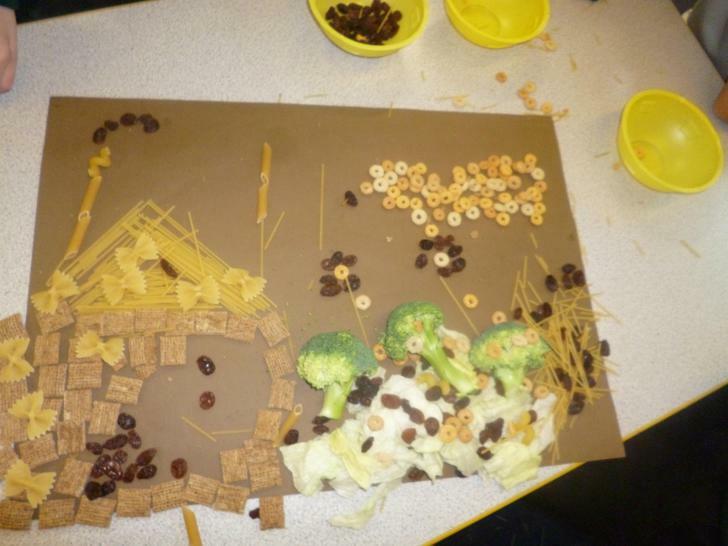 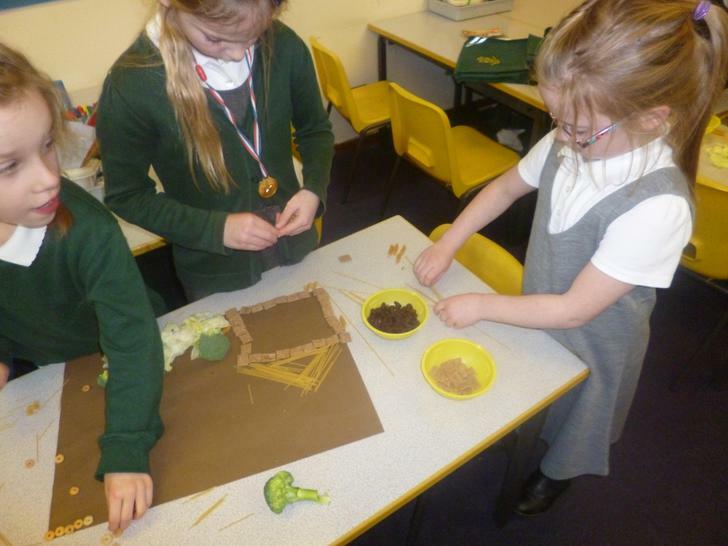 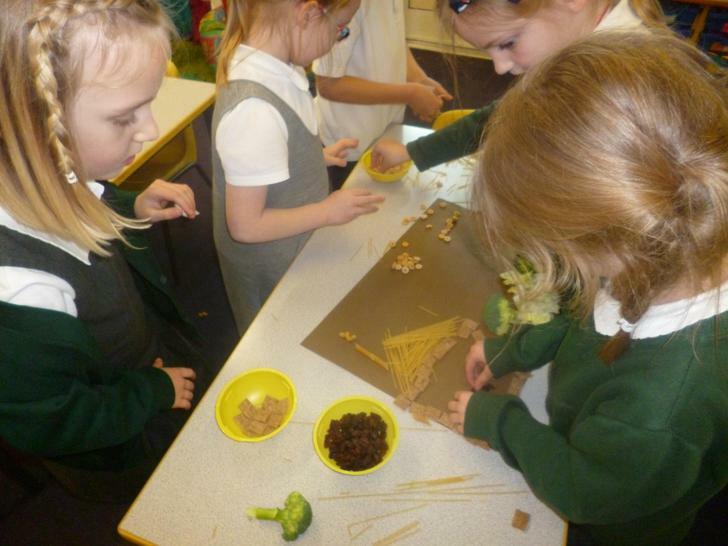 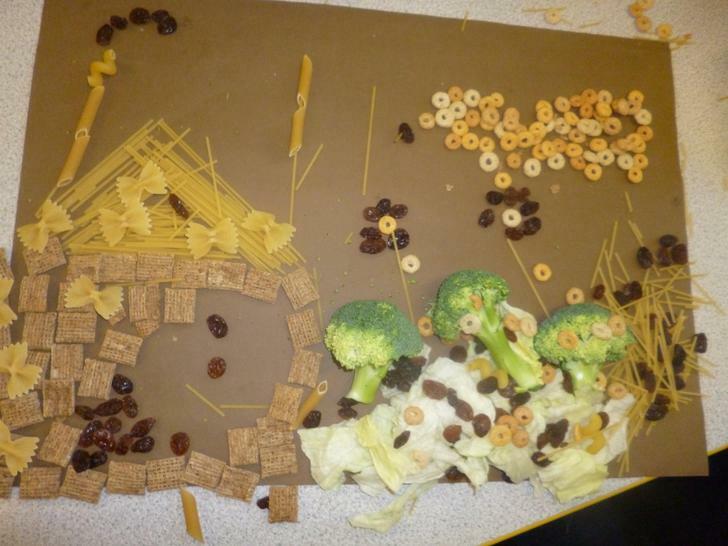 After being inspired we made our own landscapes out of food. 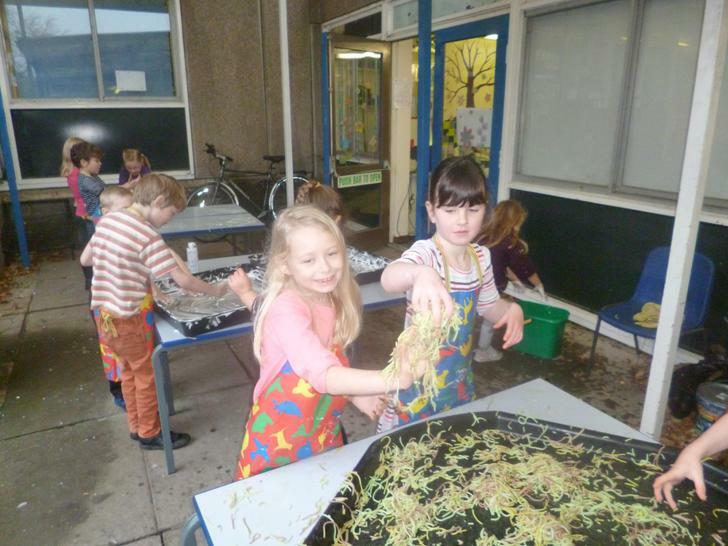 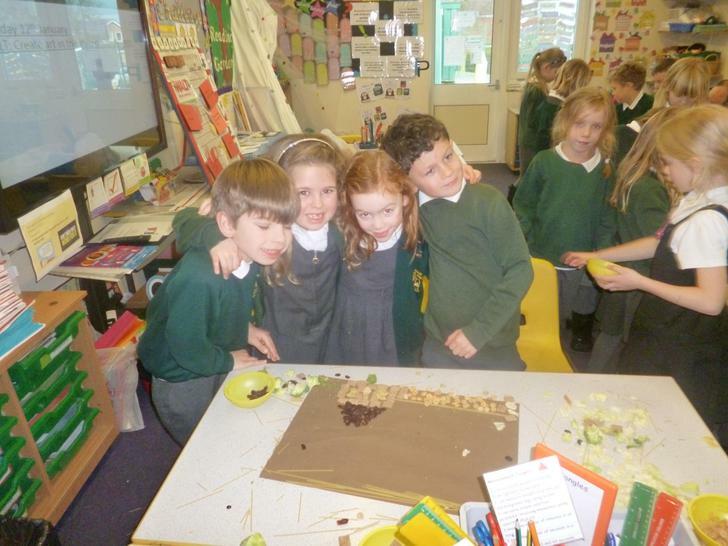 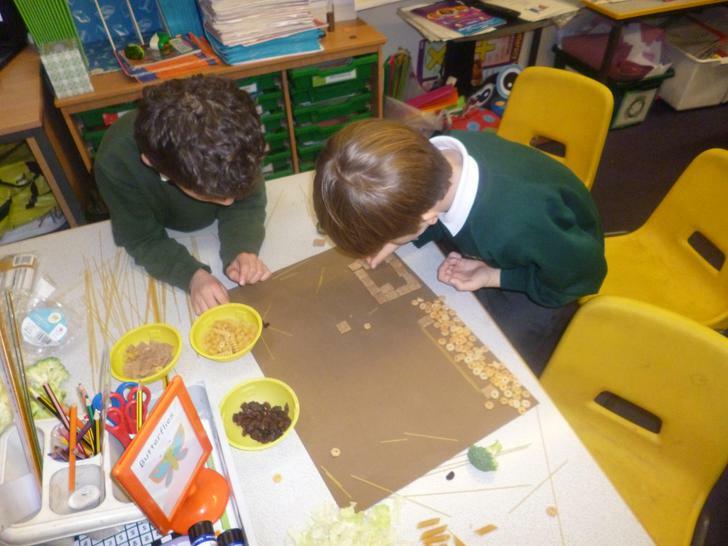 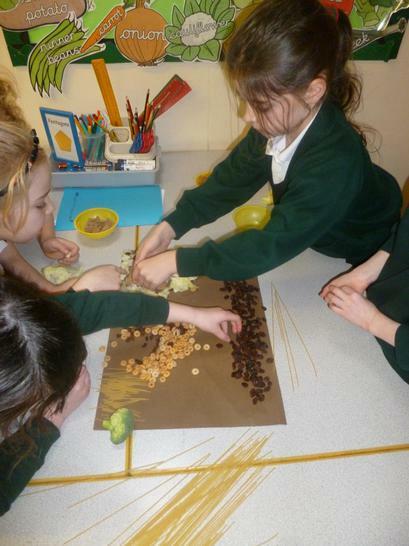 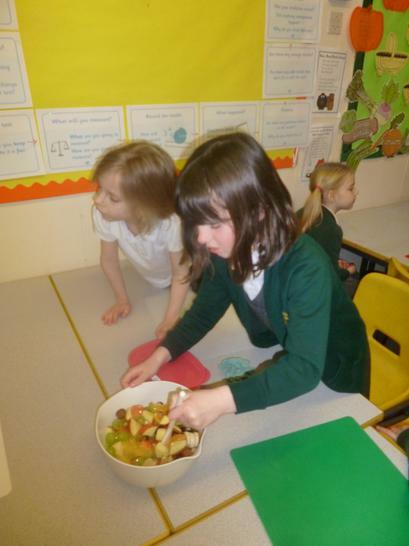 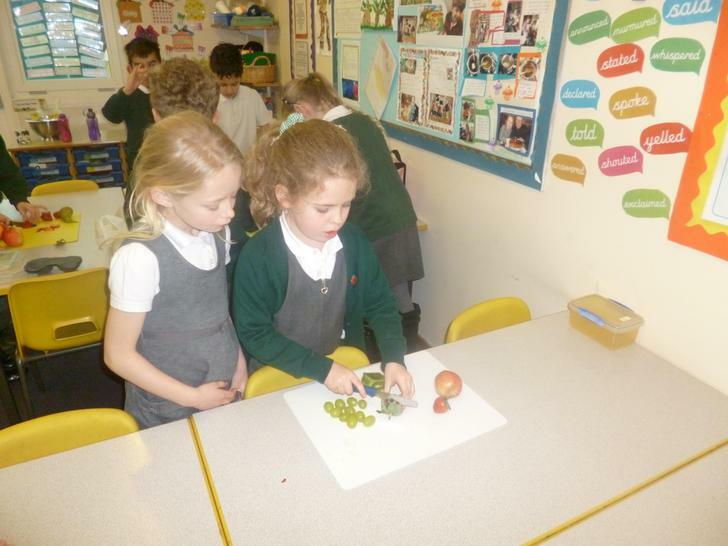 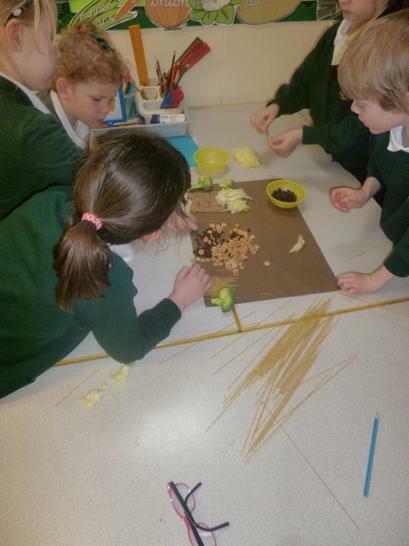 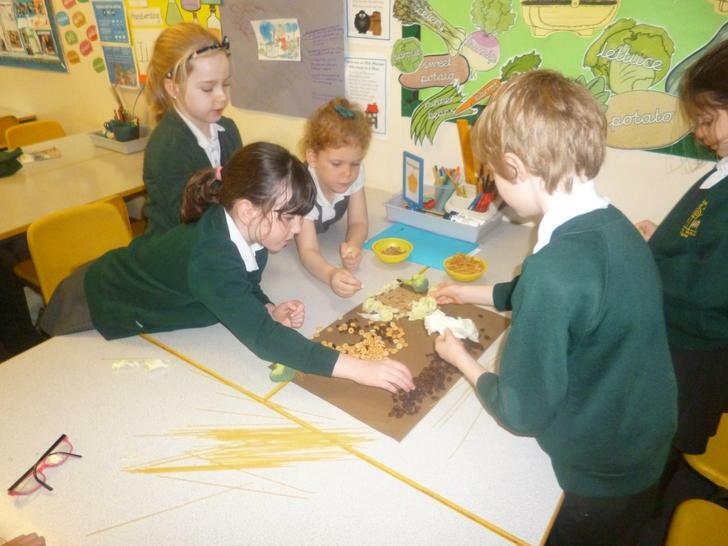 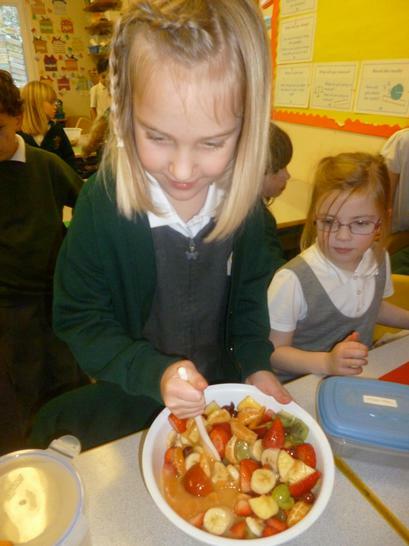 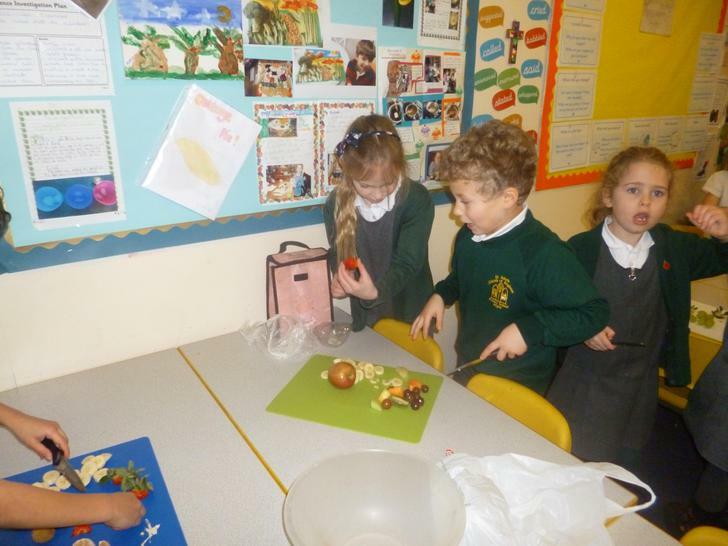 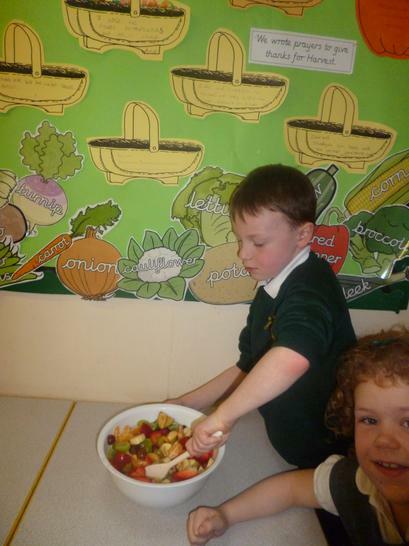 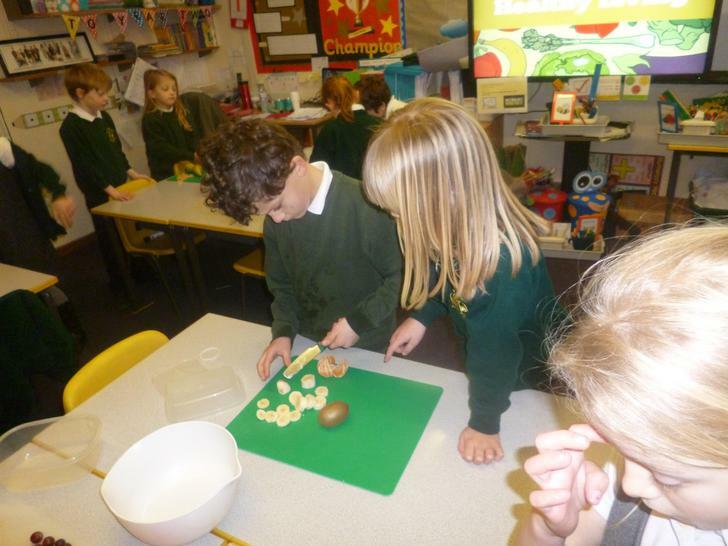 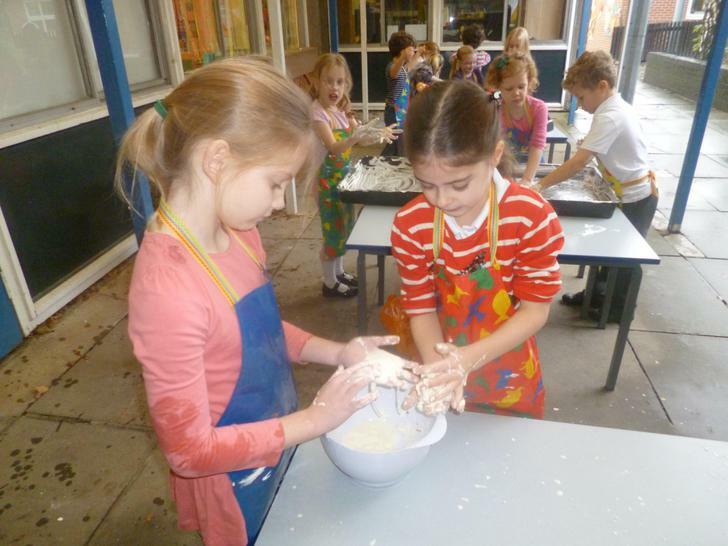 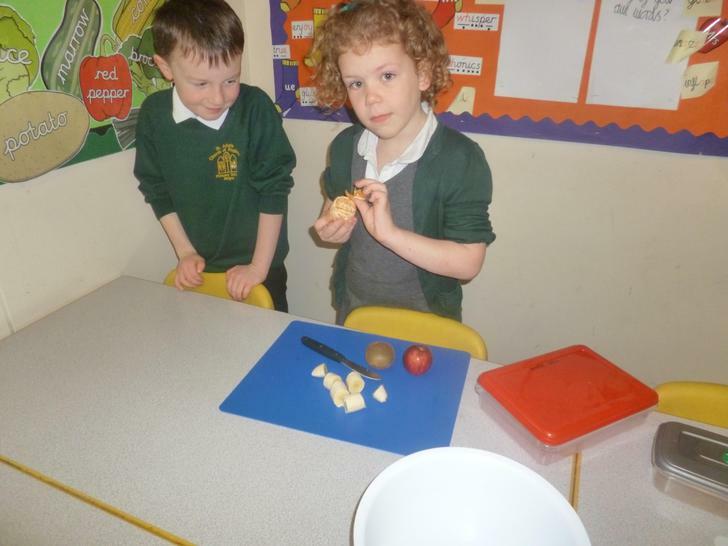 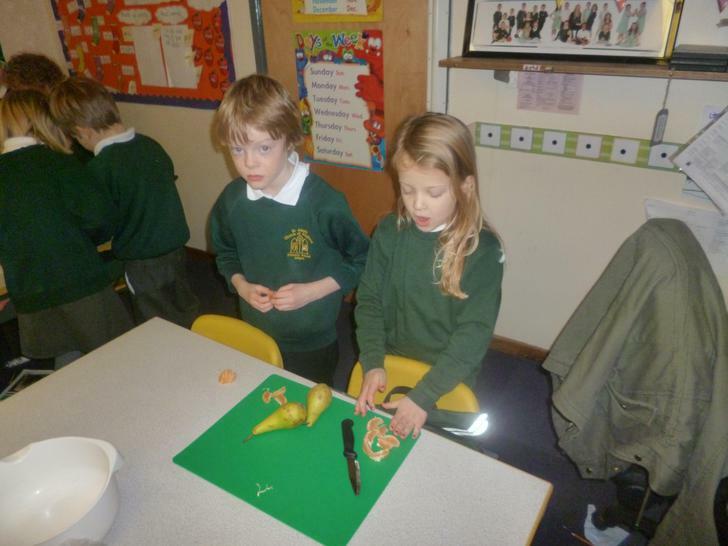 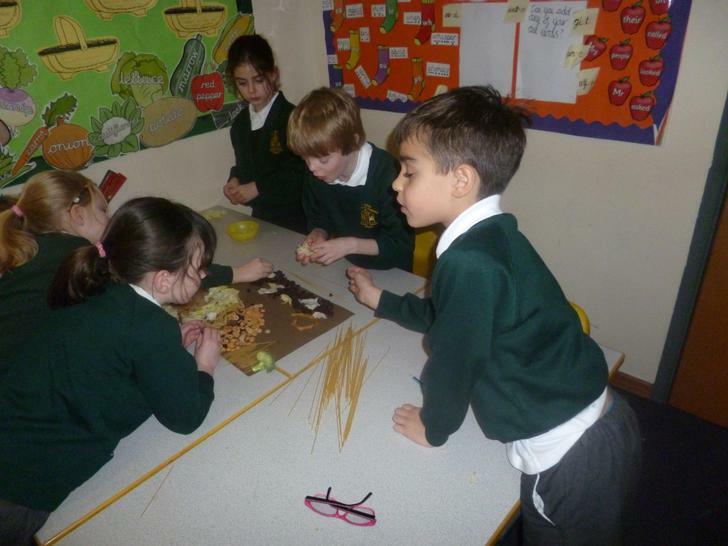 Firstly, we researched the origin of lots of different foods. 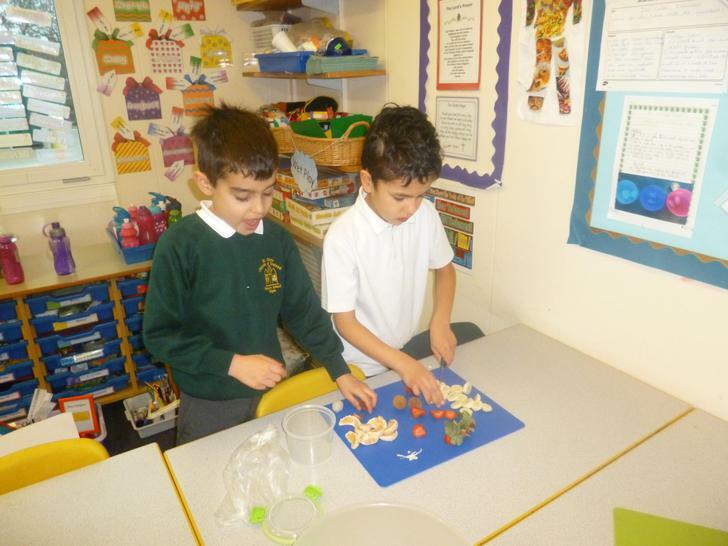 We used the atlas to find the countries and had a look at the flags. 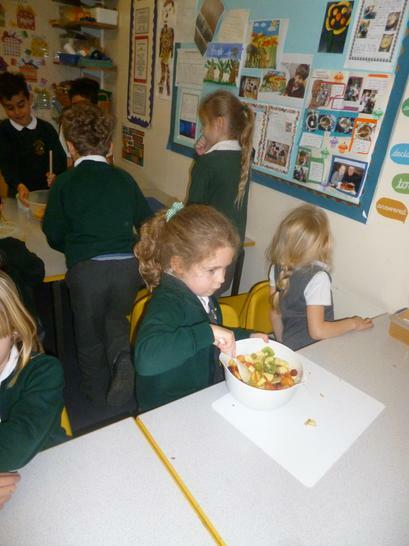 We then tasted the food and discussed our likes and dislikes, describing each food. 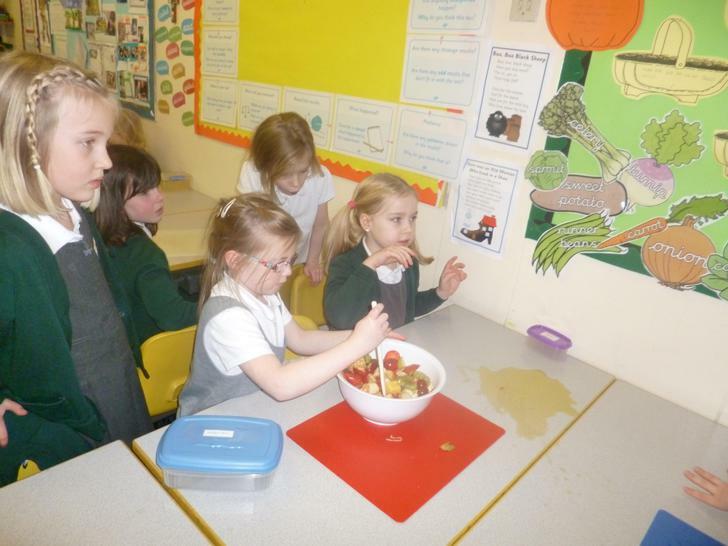 Lots of us tried foods that we hadn't eaten before!